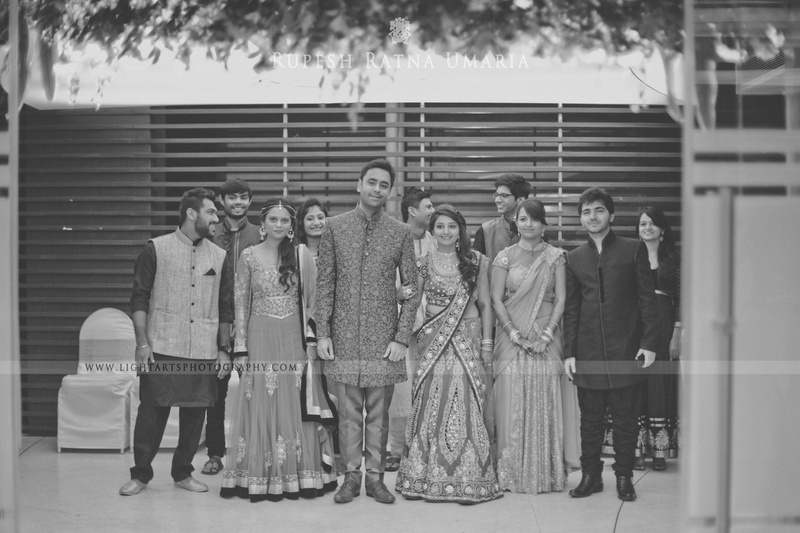 Grishma and Puneet’s wedding celebrations prove yet again that Pujabi’s do weddings with style! 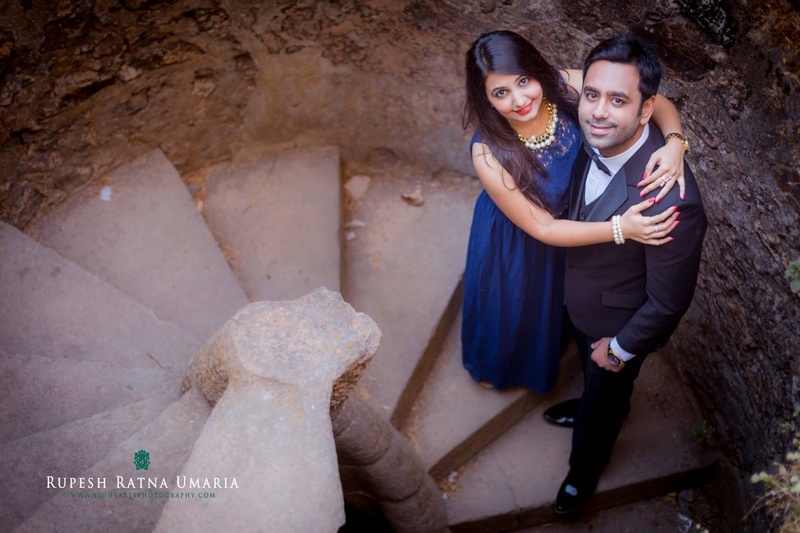 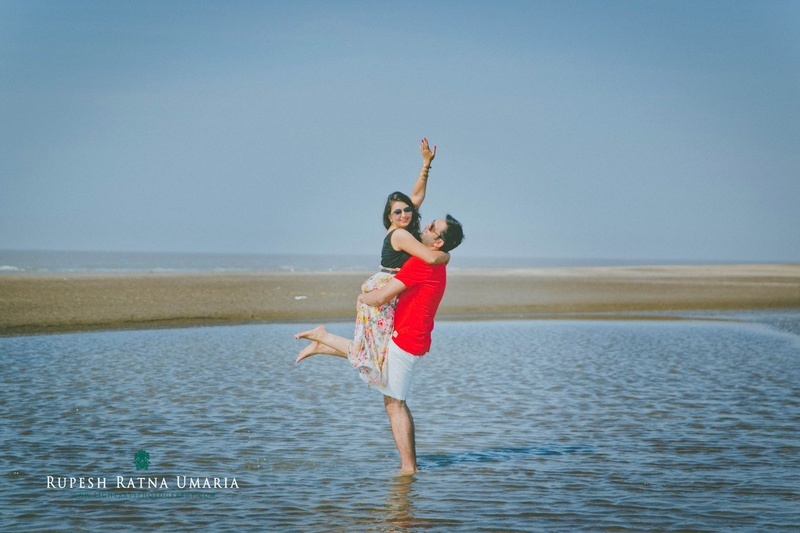 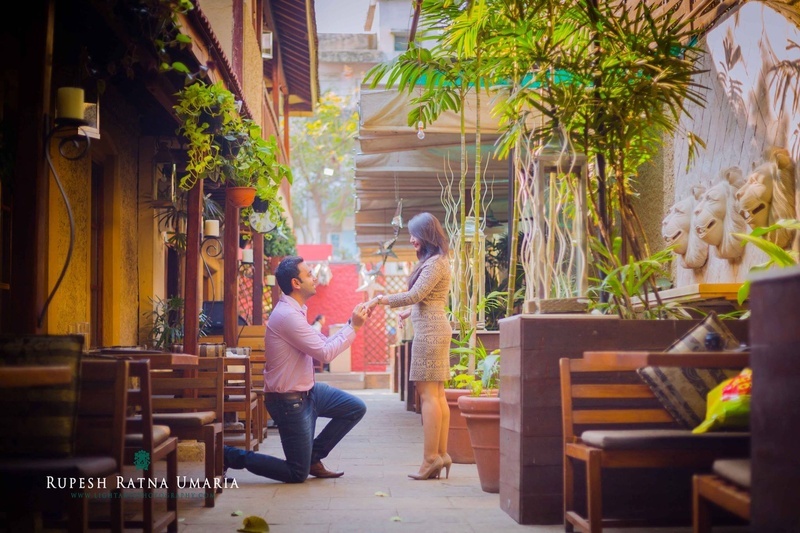 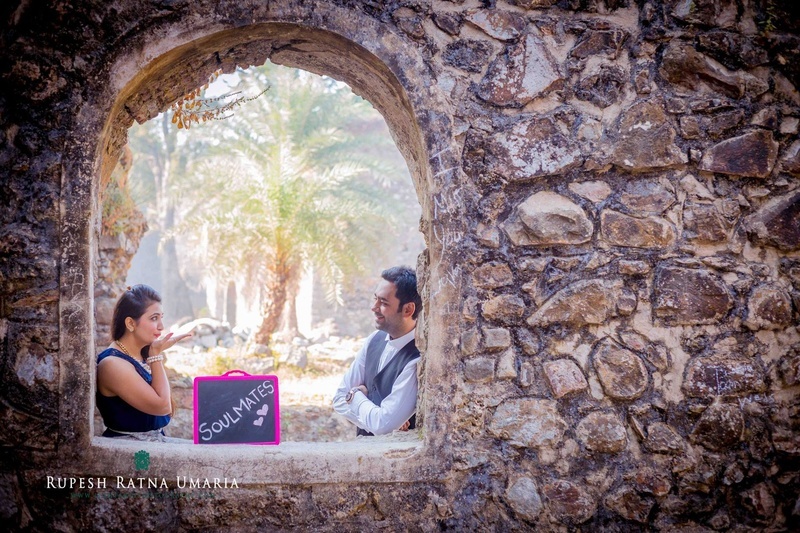 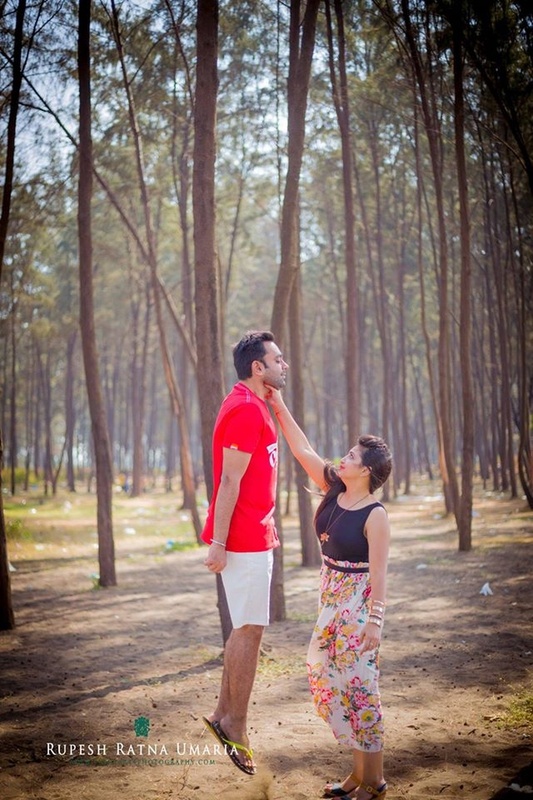 This beautiful couple showed-off diverse styles with multiple pre-wedding photoshoots ranging from professional to Sunday morning brunch attires. 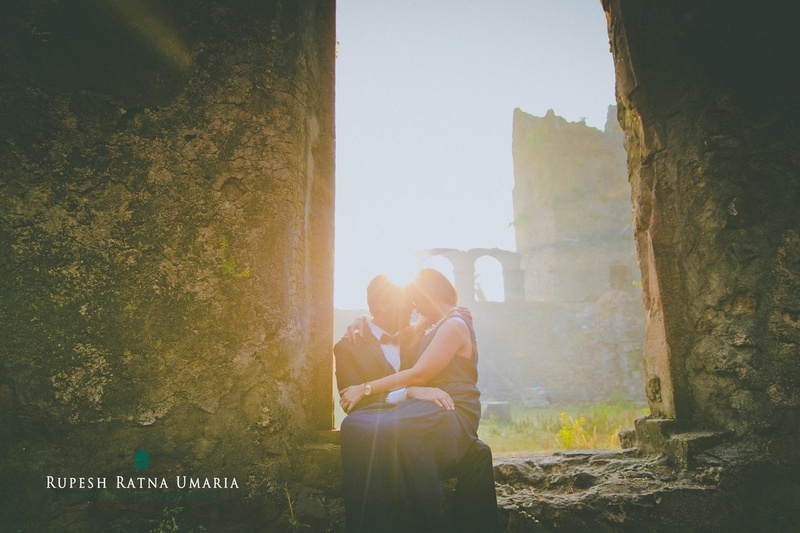 Our personal favorite was the session held at an abandoned old fort. 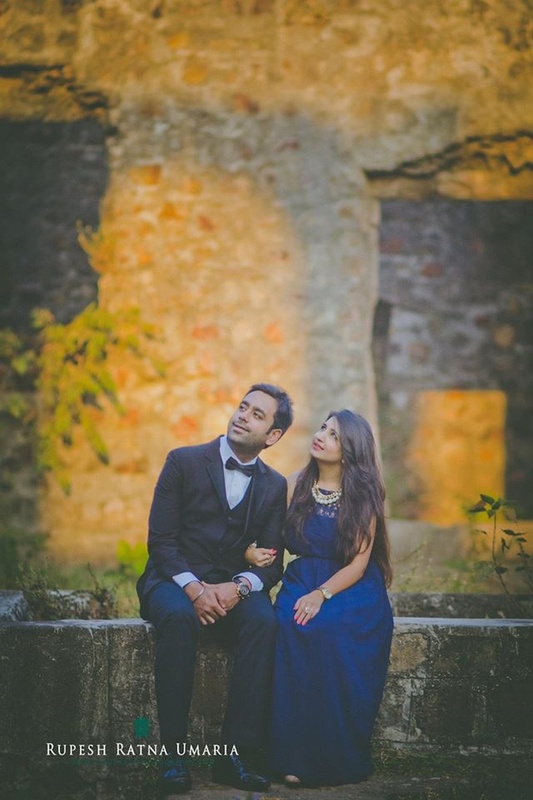 Puneet was dressed in a carbon black tuxedo and Grishma, a navy blue dress – they’re modern outfits set against a grim background gave the whole setting a perfect oxymoronic feel. 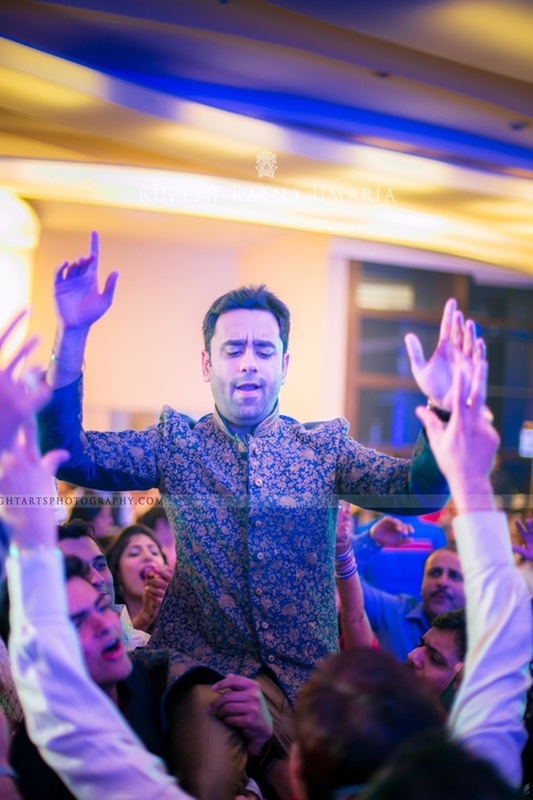 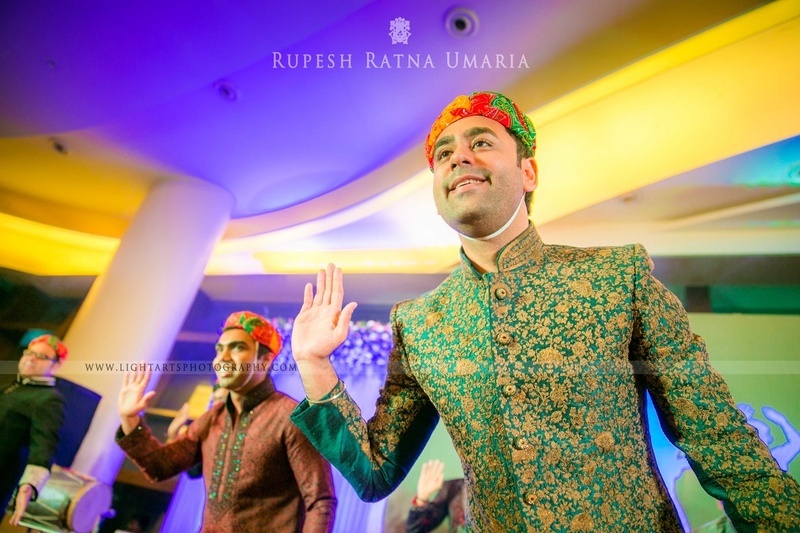 Celebrations continued with the sangeet ceremony held inside a beautifully lit banquet hall. 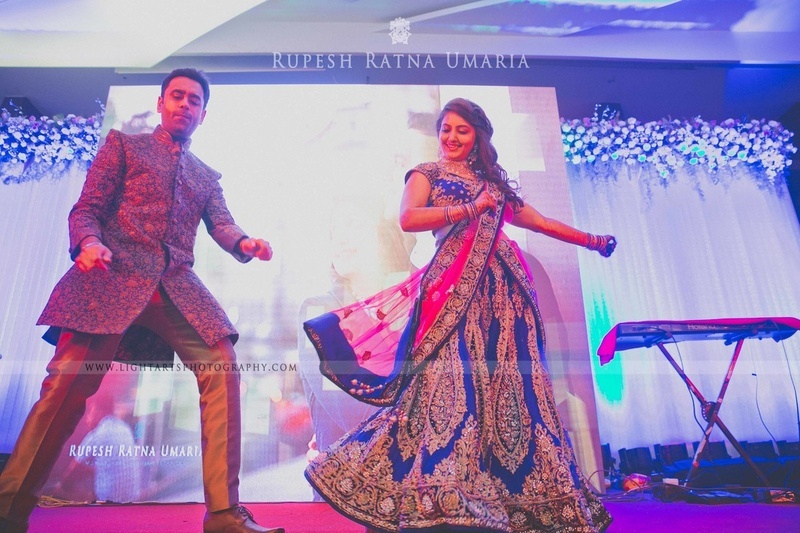 This couple decided not to go with the conventional florally decorated stage, so they opted for a LED screen as a backdrop. 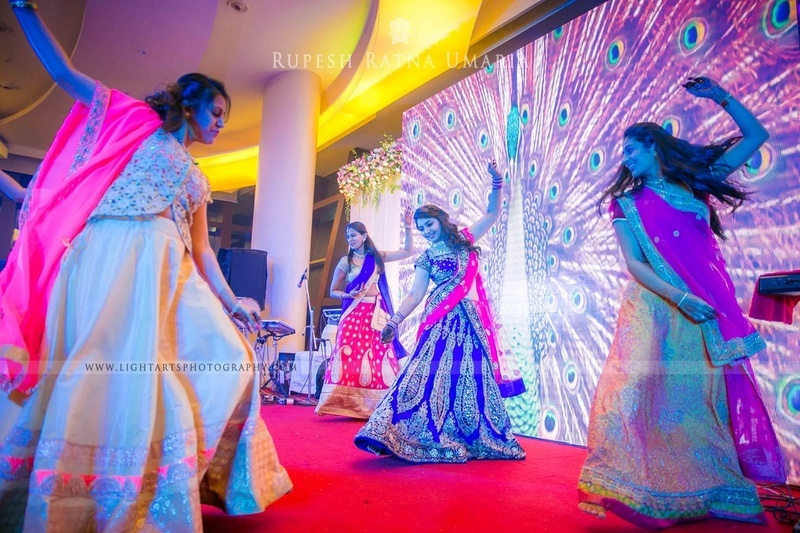 Every dance performance had a different backdrop which took the fun element at this sangeet to a whole new high – definitely trend setting, we think! 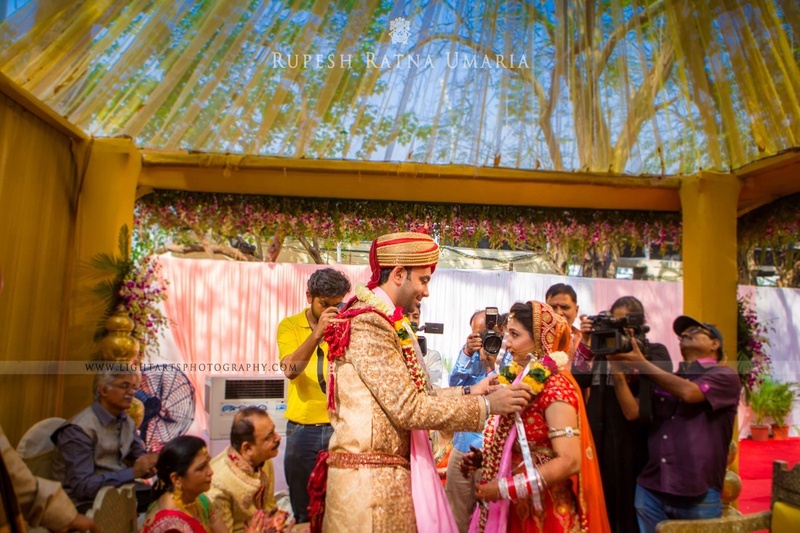 Everything from the décor to the lighting was done with absolute class and style, but when we saw Grishma’s bridal lehenga and jewellery, we were completely mesmerized! 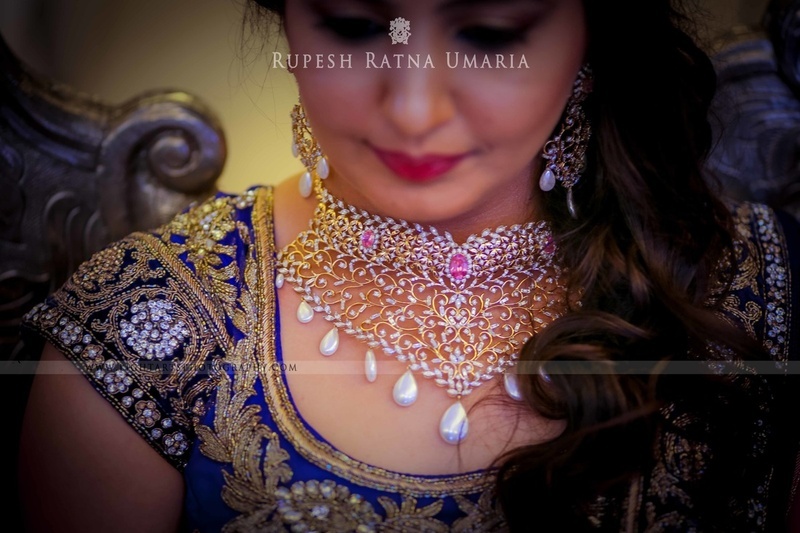 The intricately designed gold necklace studded with marquise cut diamonds and gemstones made her look like the princess every girl dreams of being. 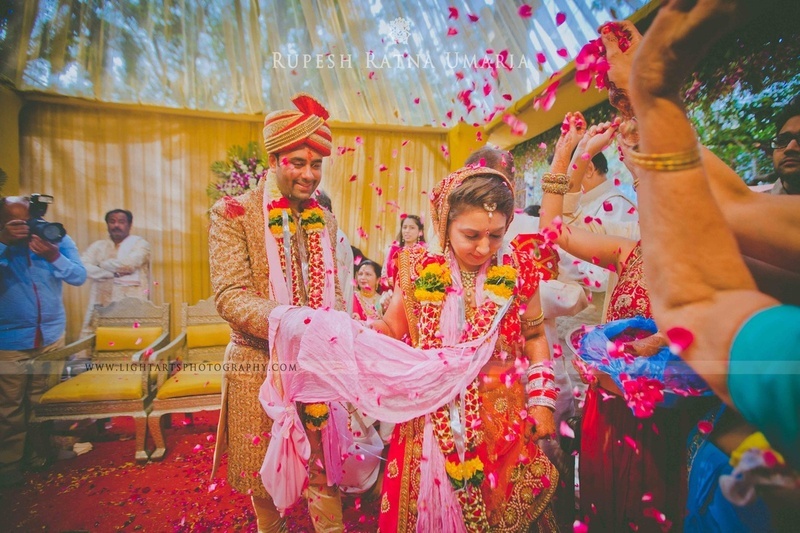 Her kalidar bridal lehenga made in hues of rani pink and orange was definitely a good shift from the usual traditional red attire. 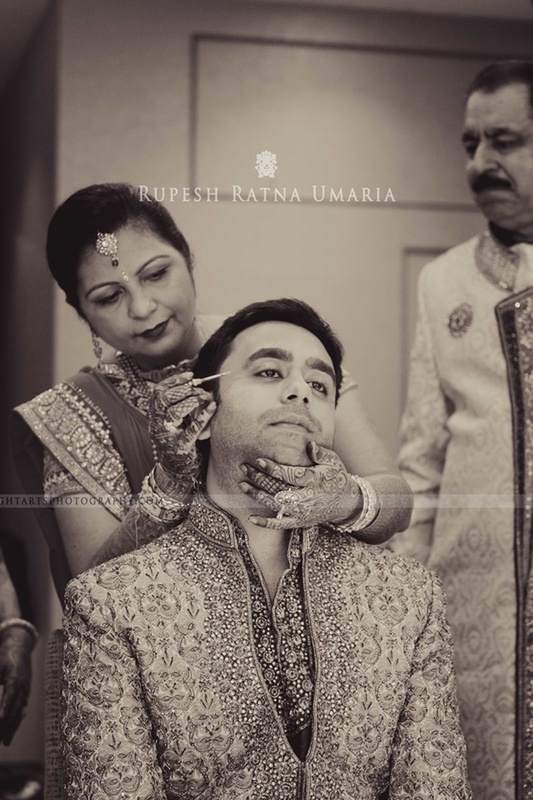 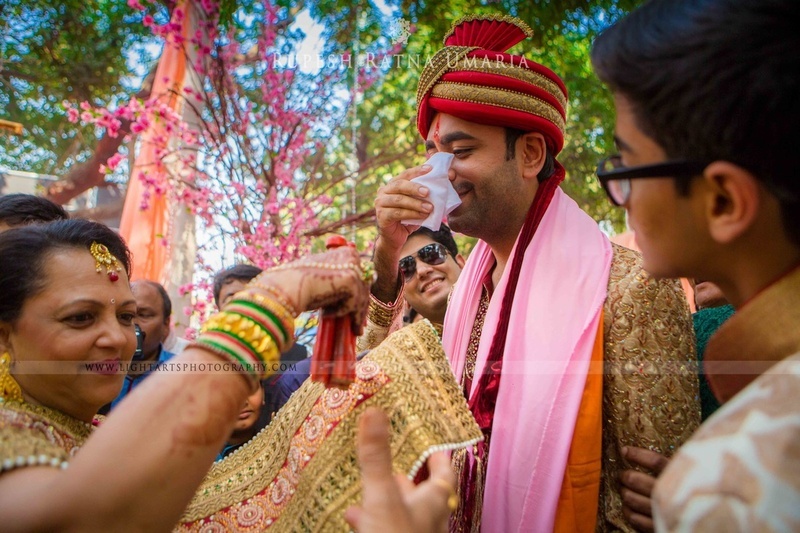 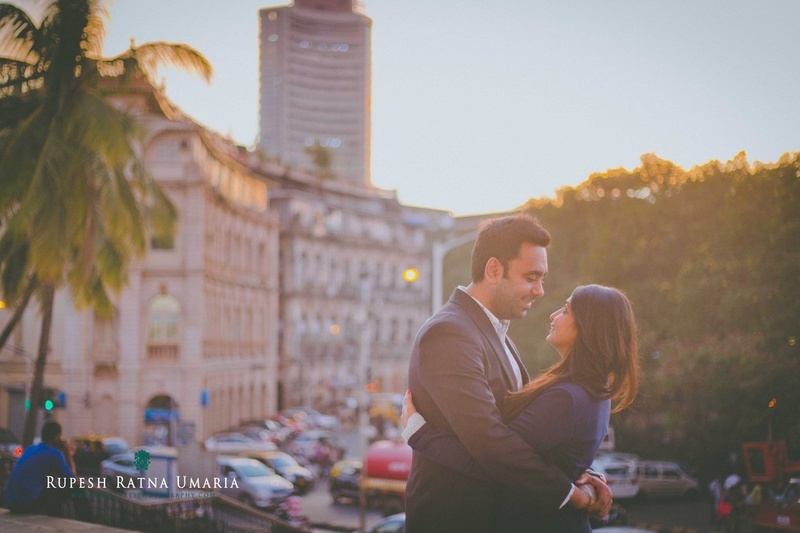 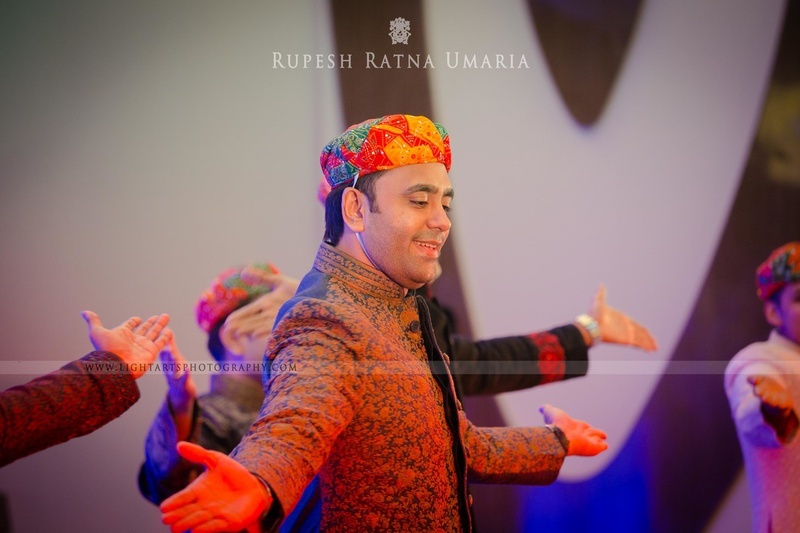 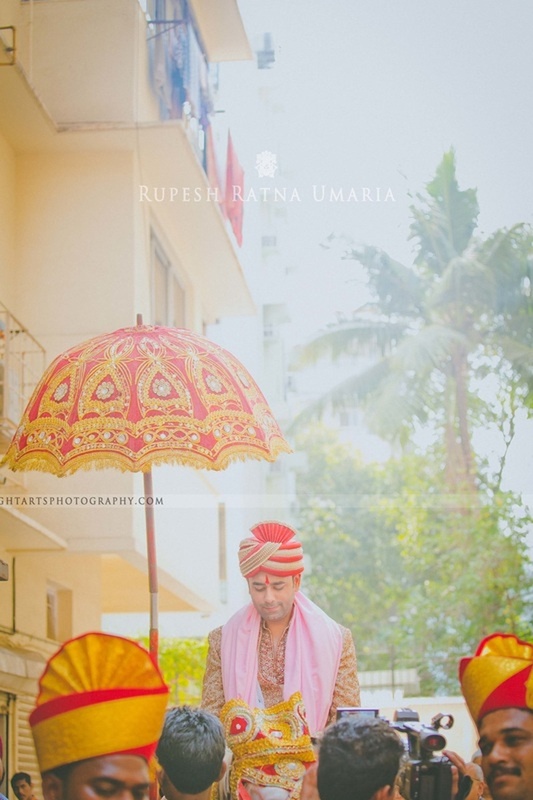 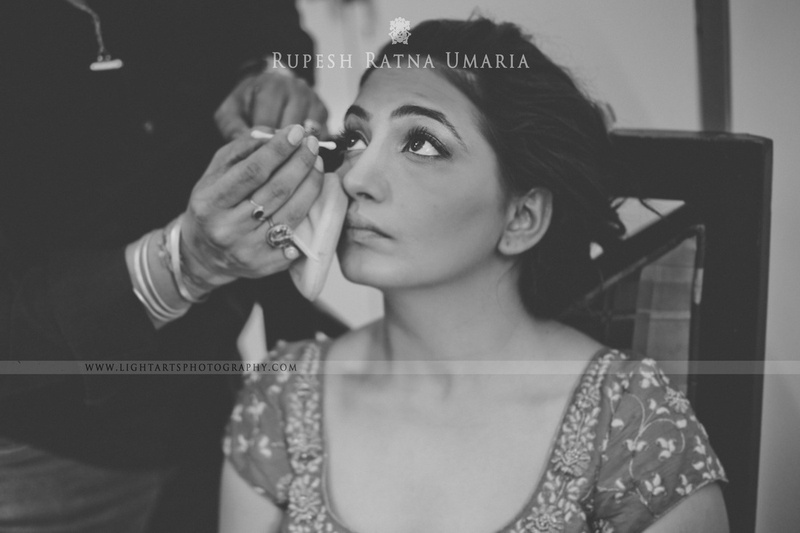 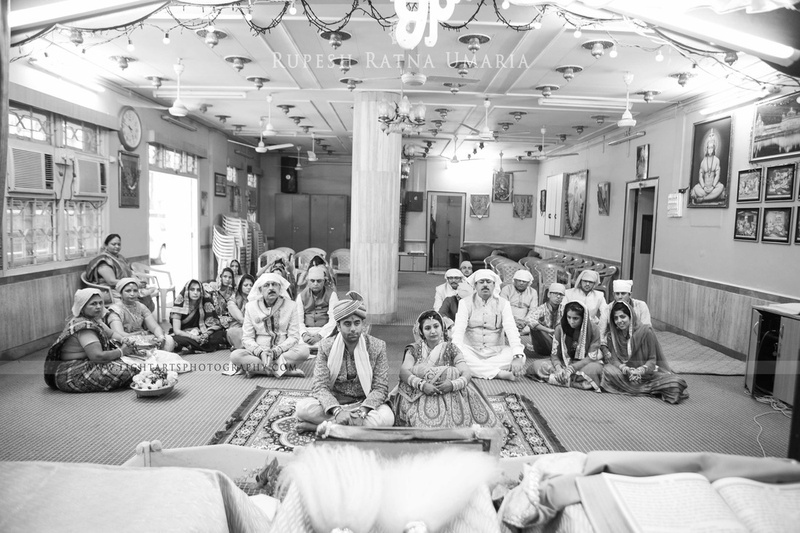 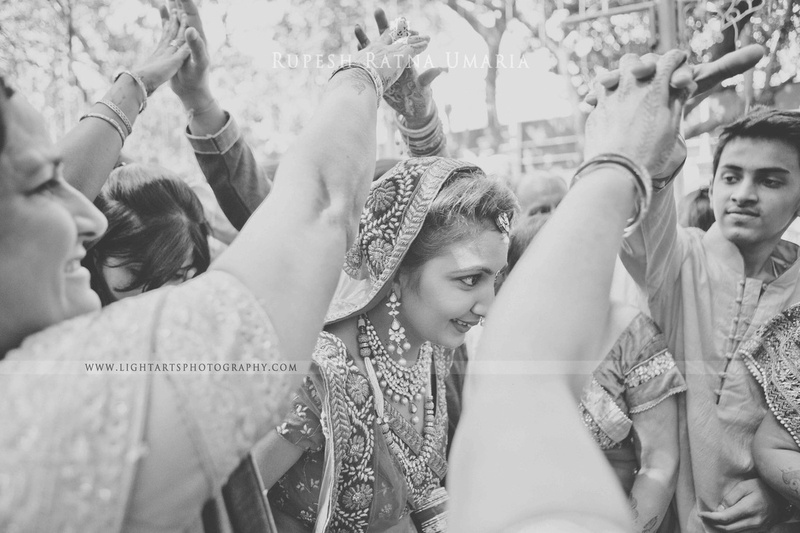 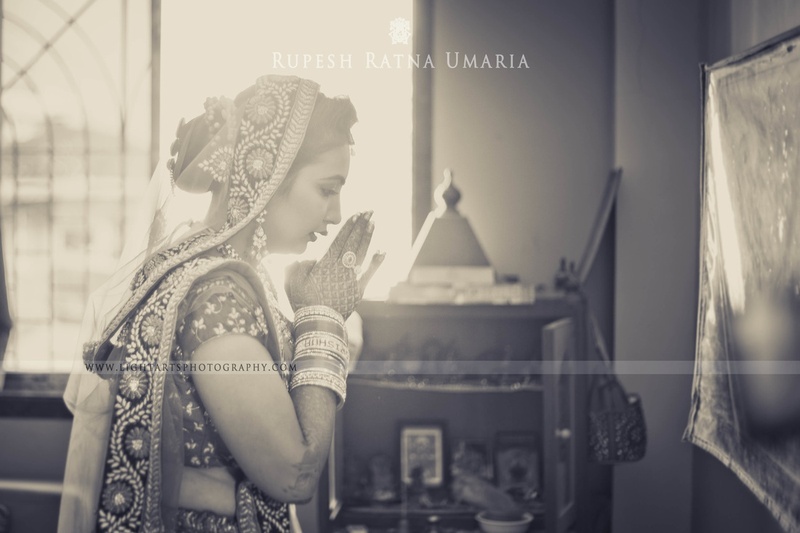 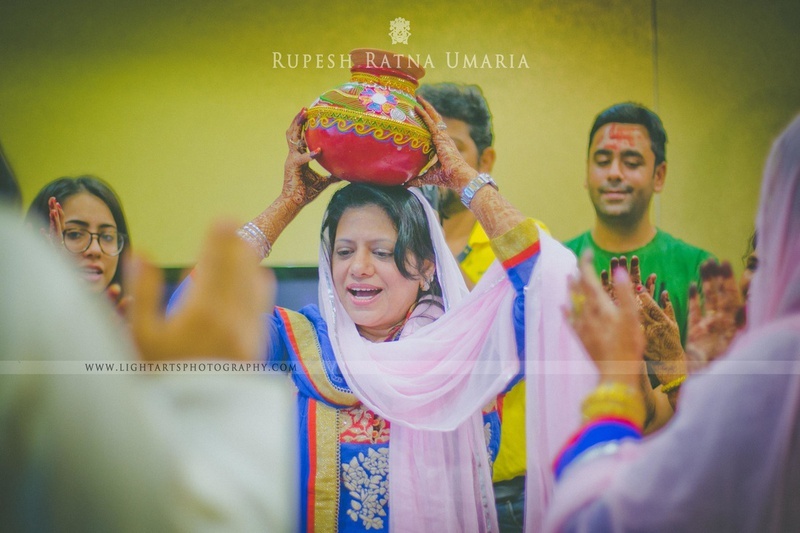 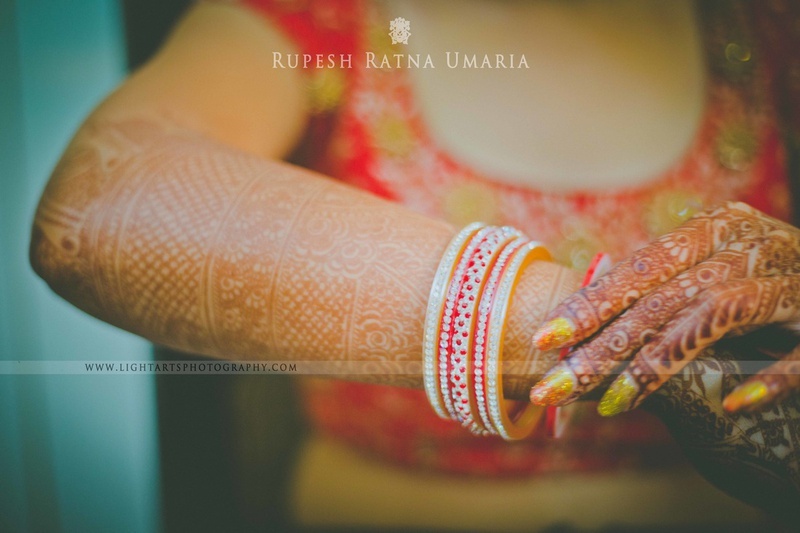 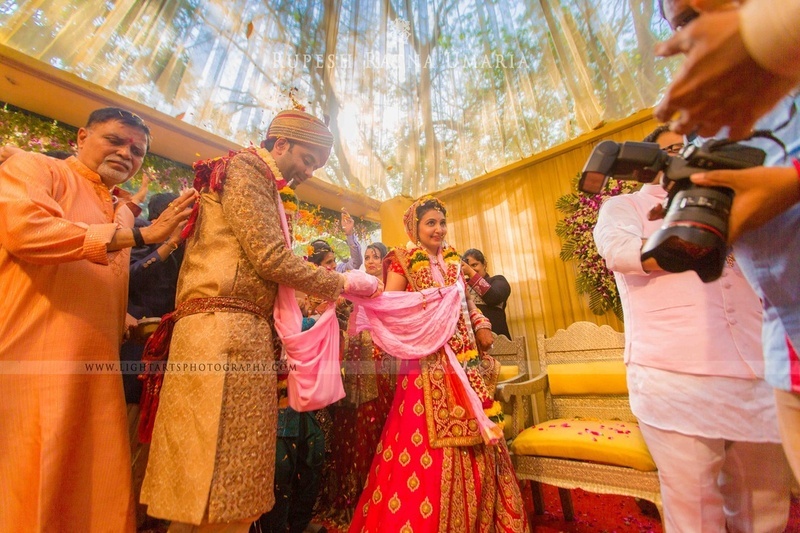 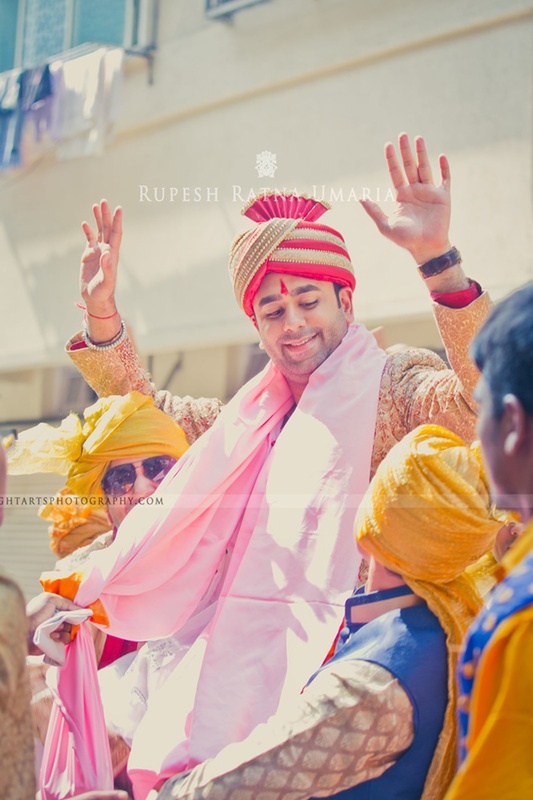 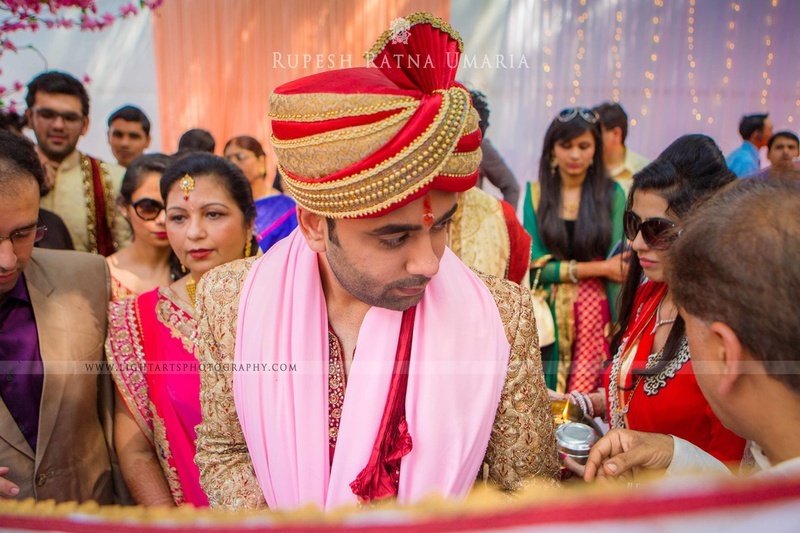 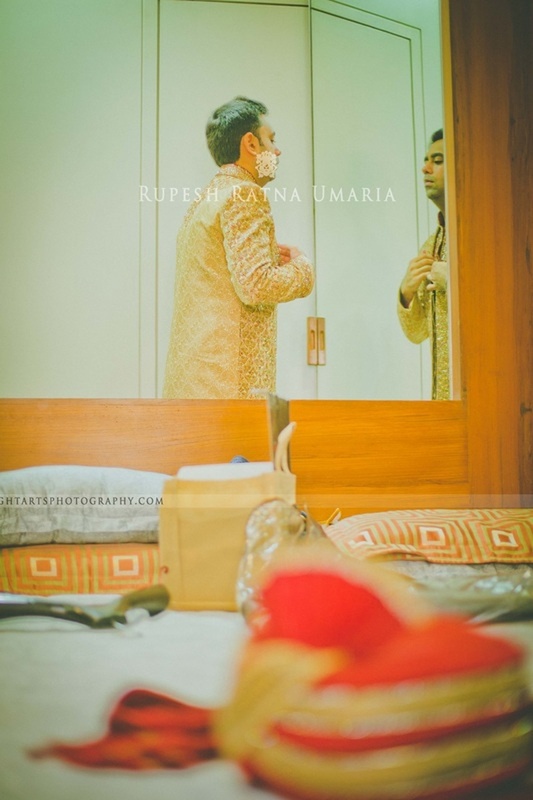 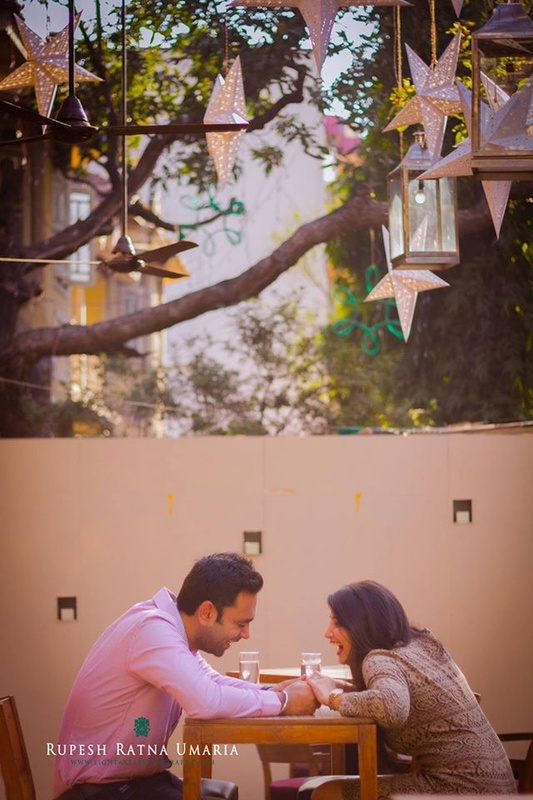 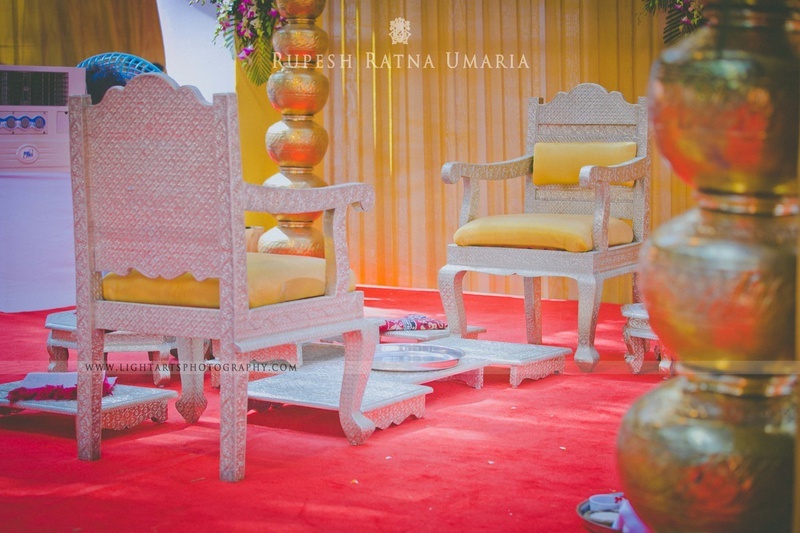 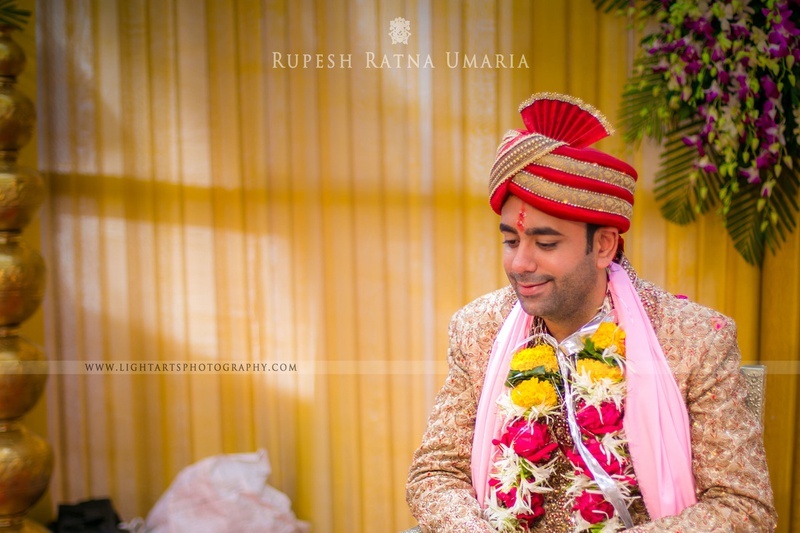 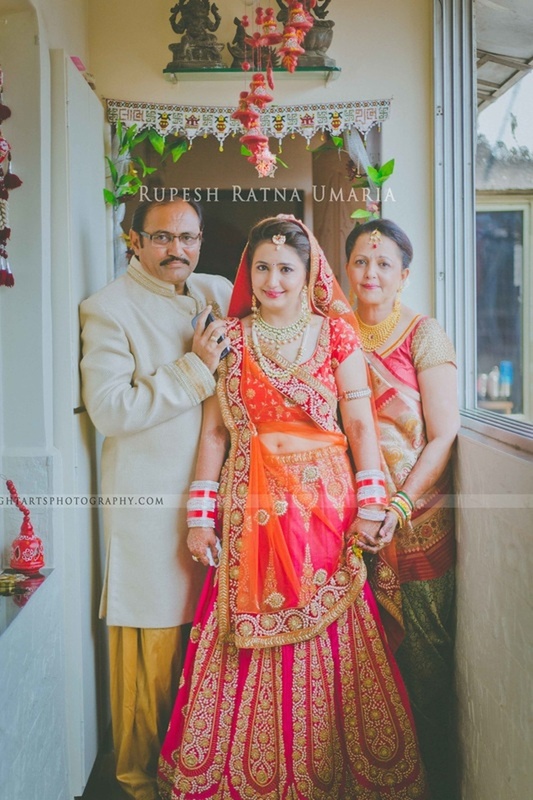 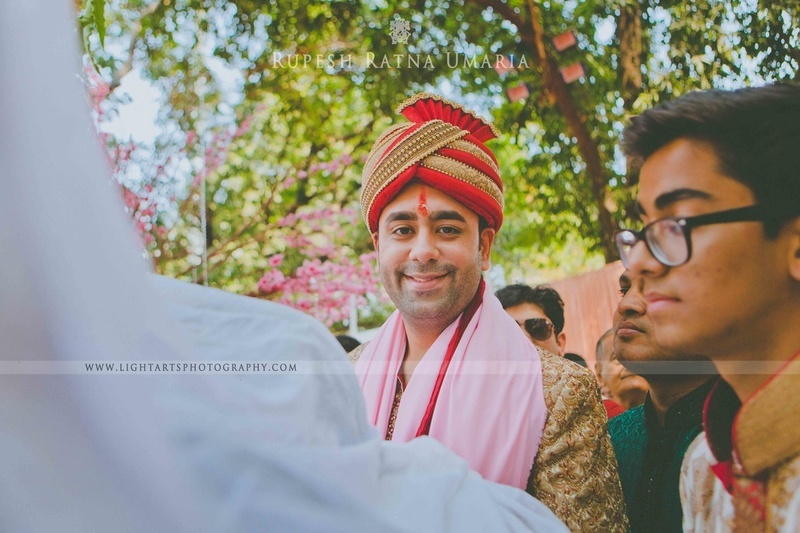 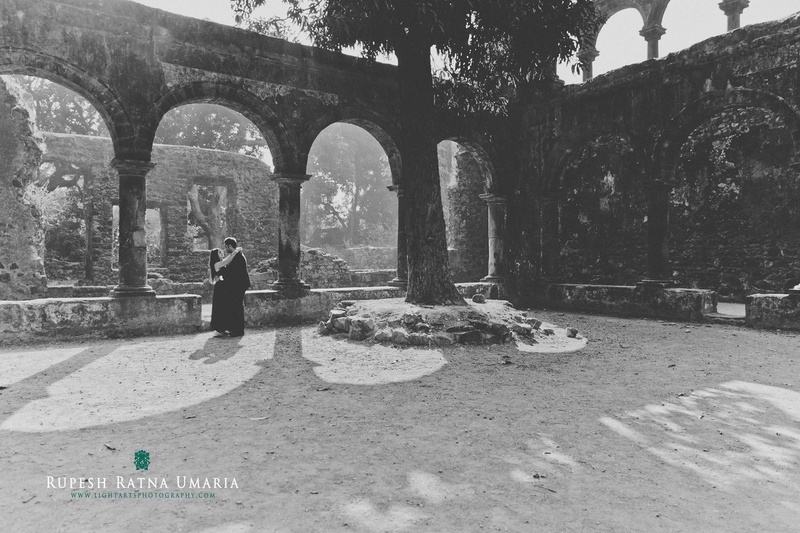 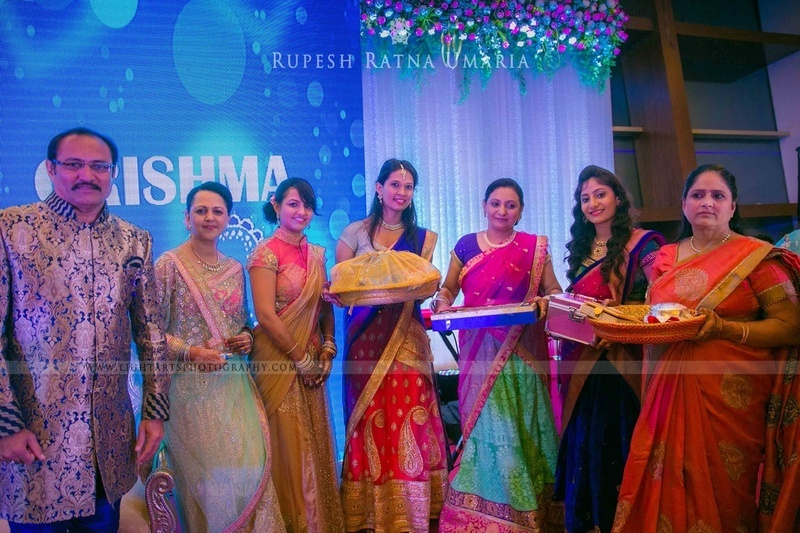 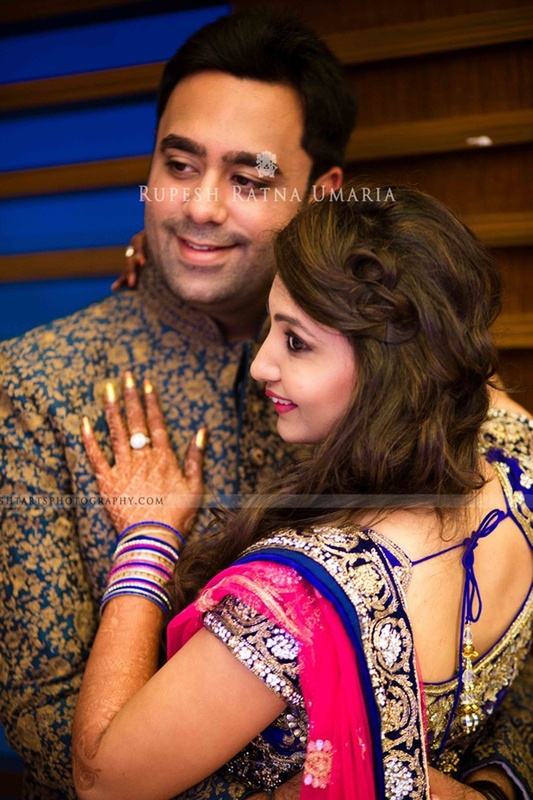 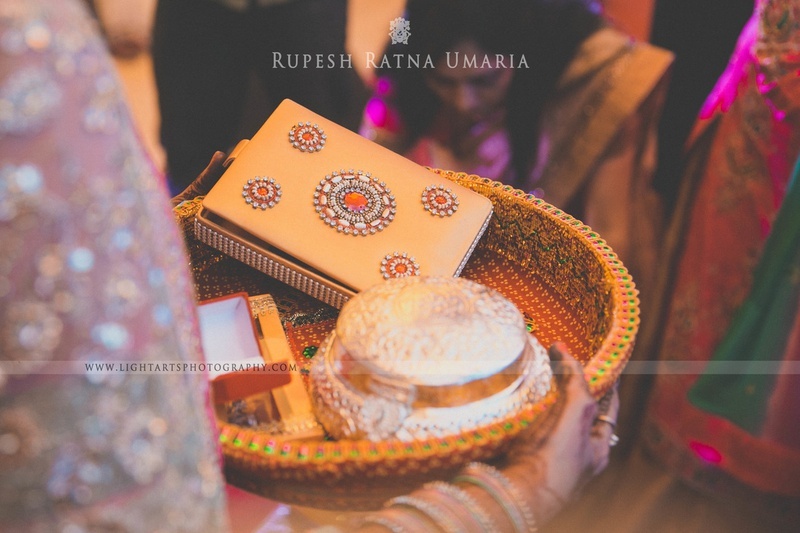 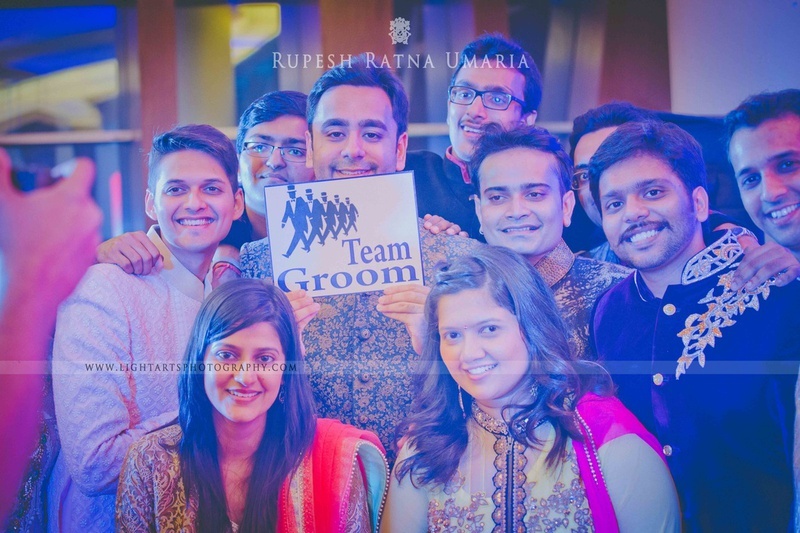 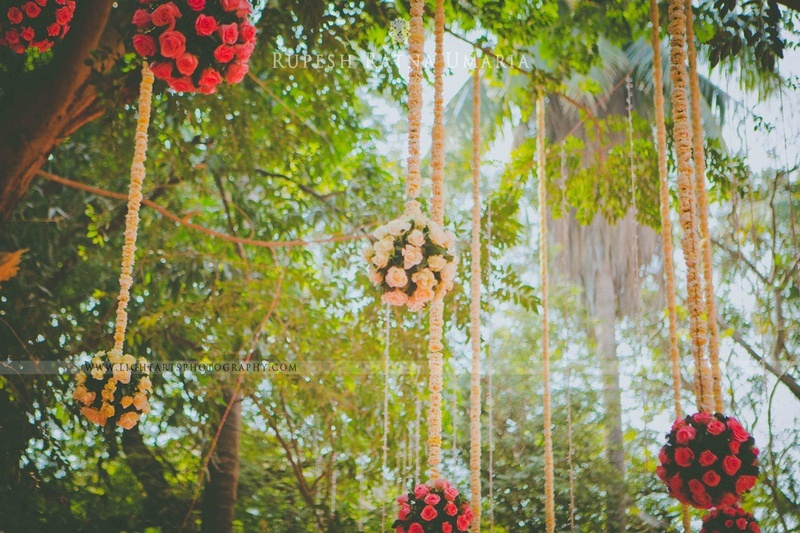 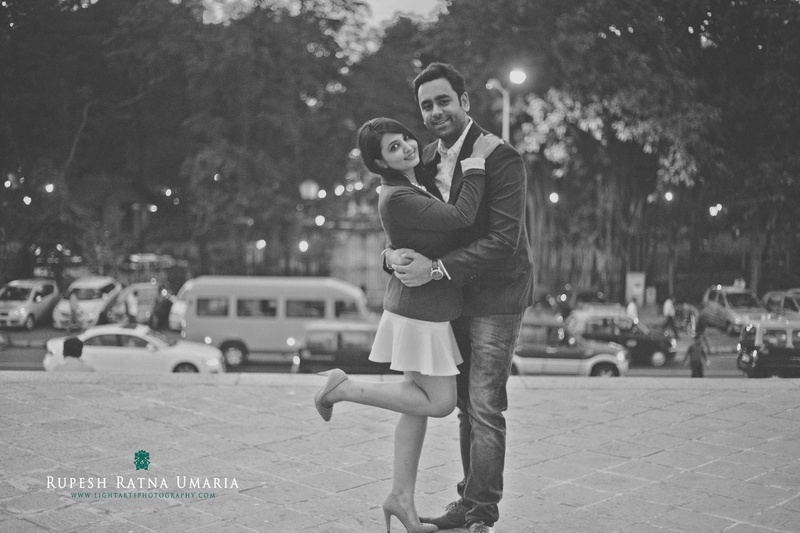 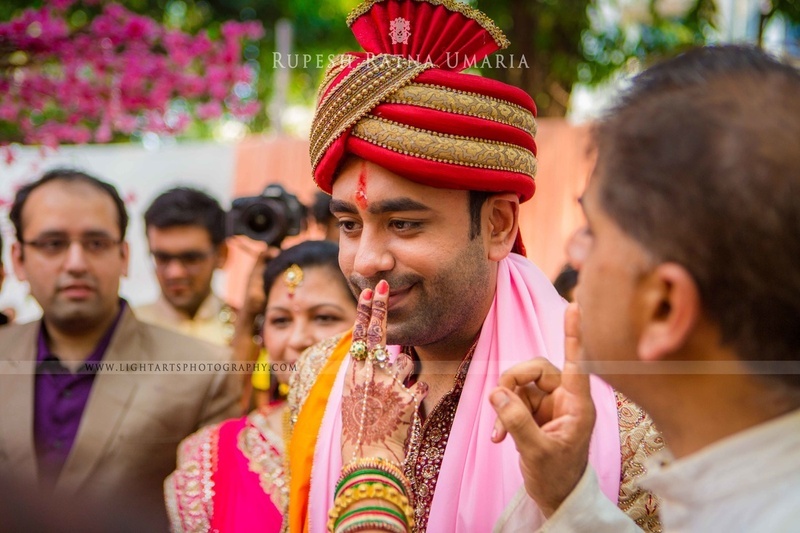 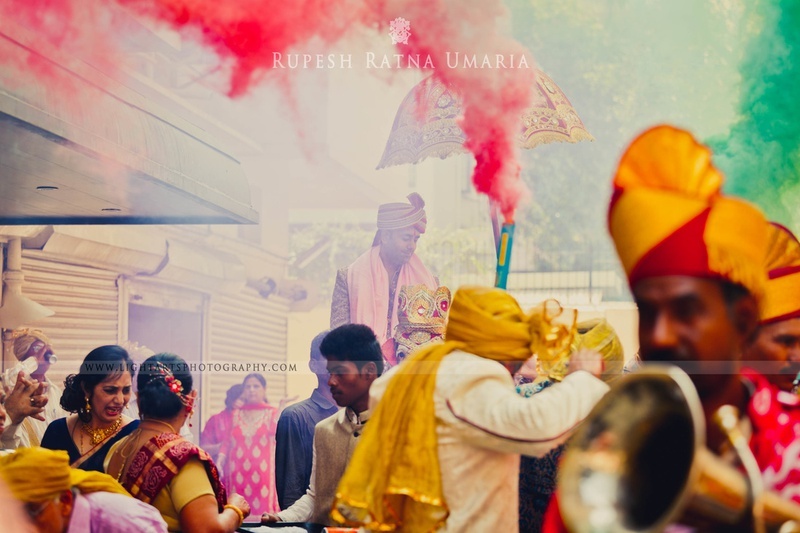 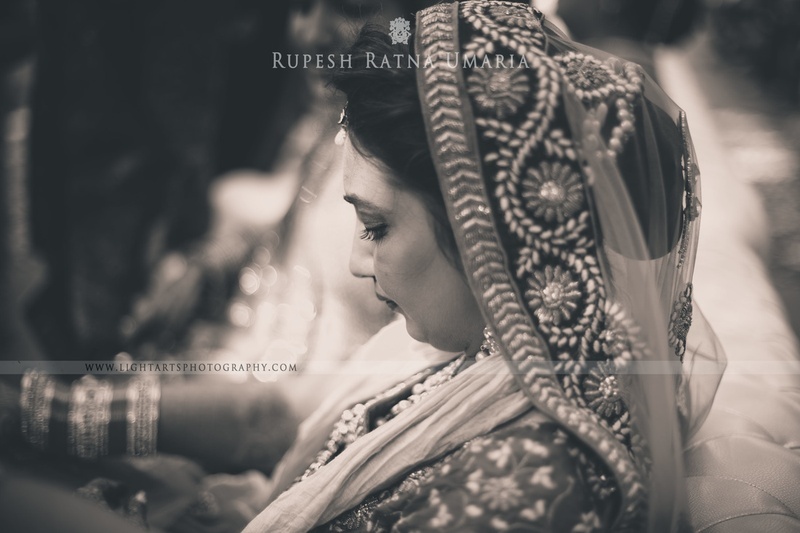 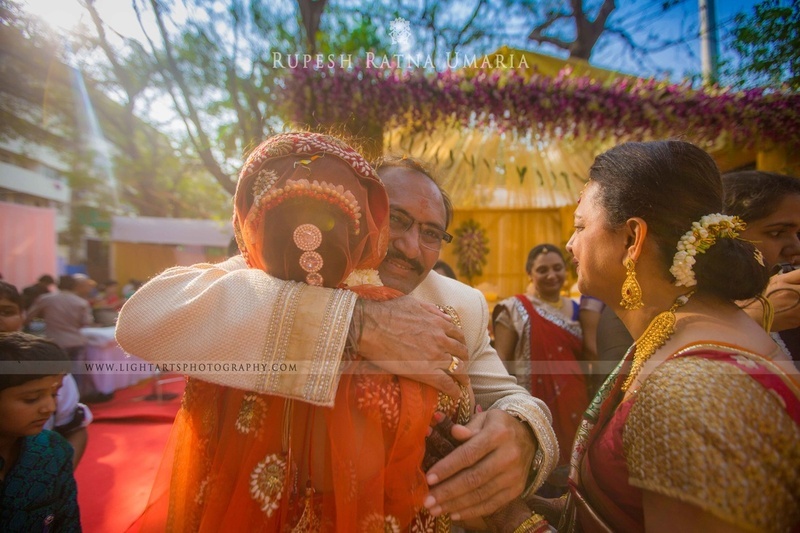 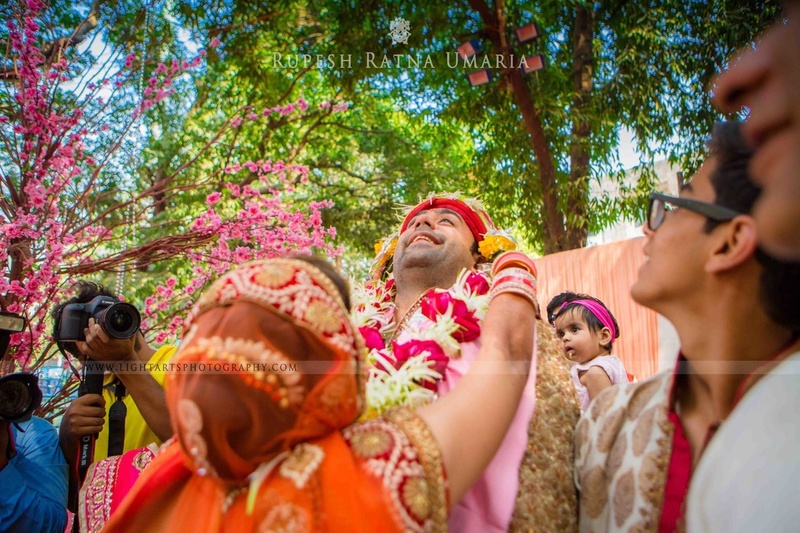 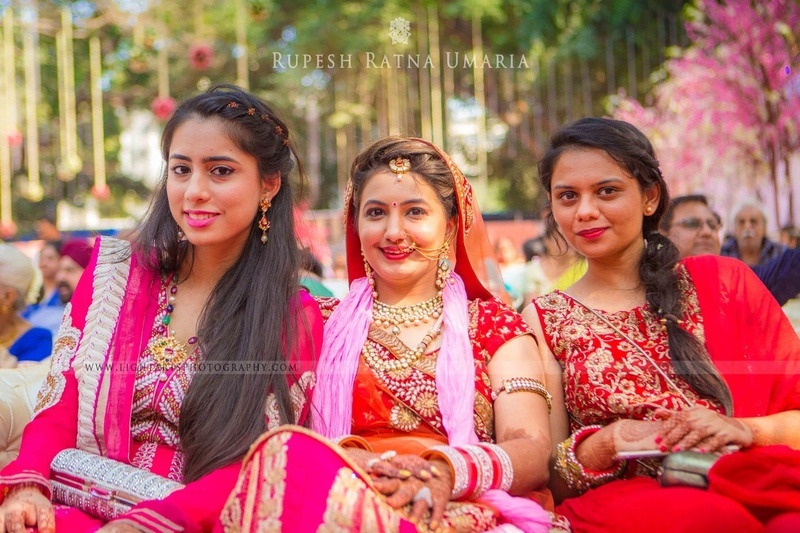 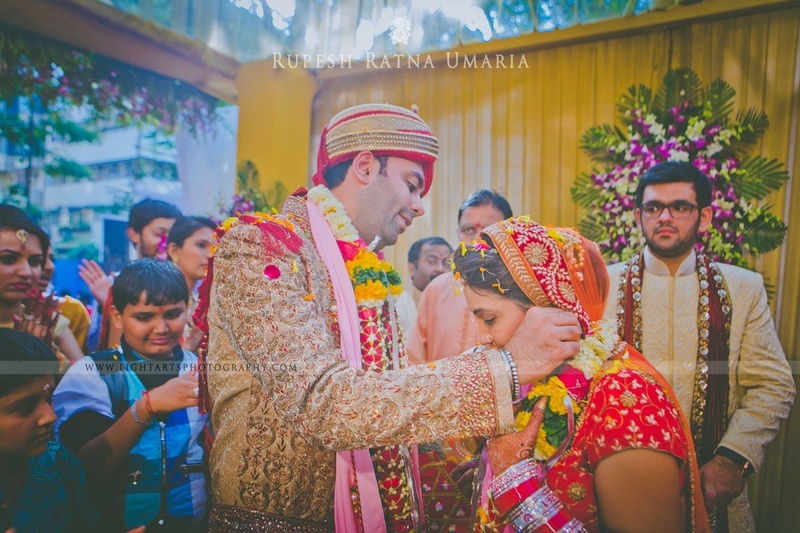 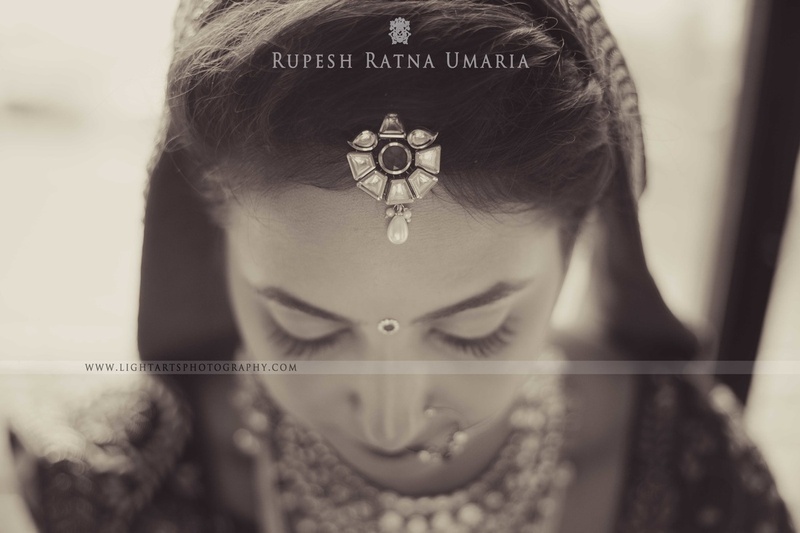 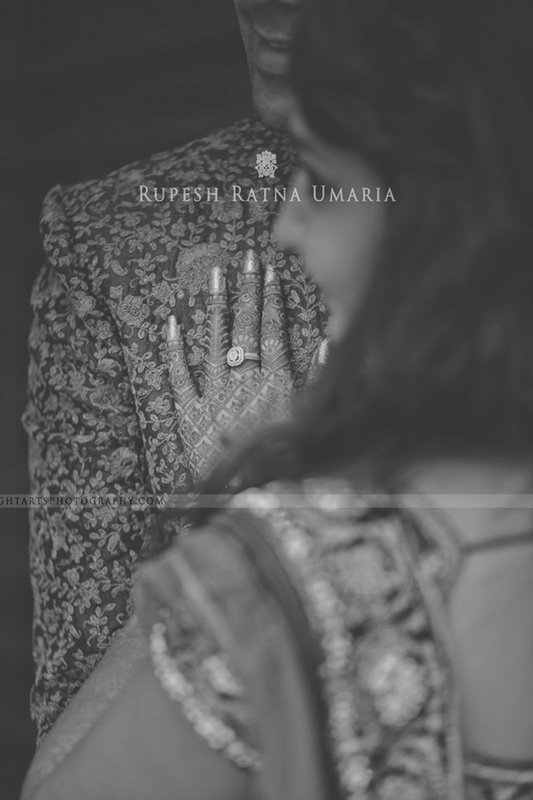 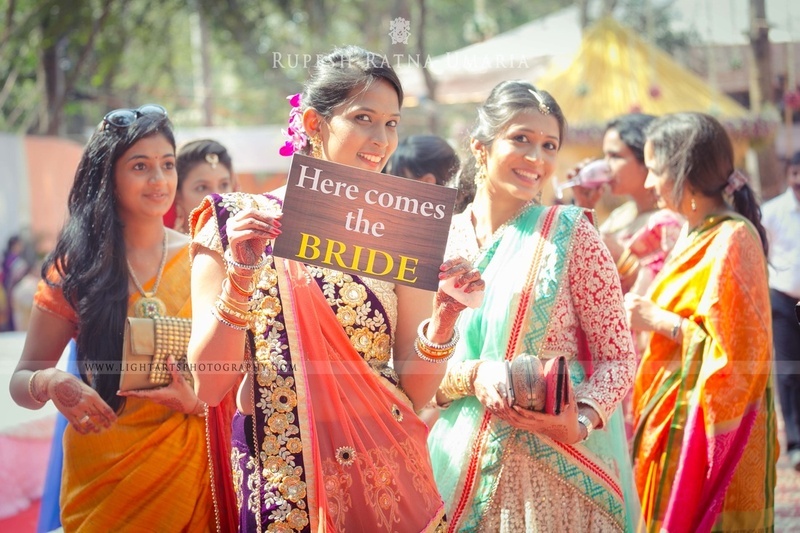 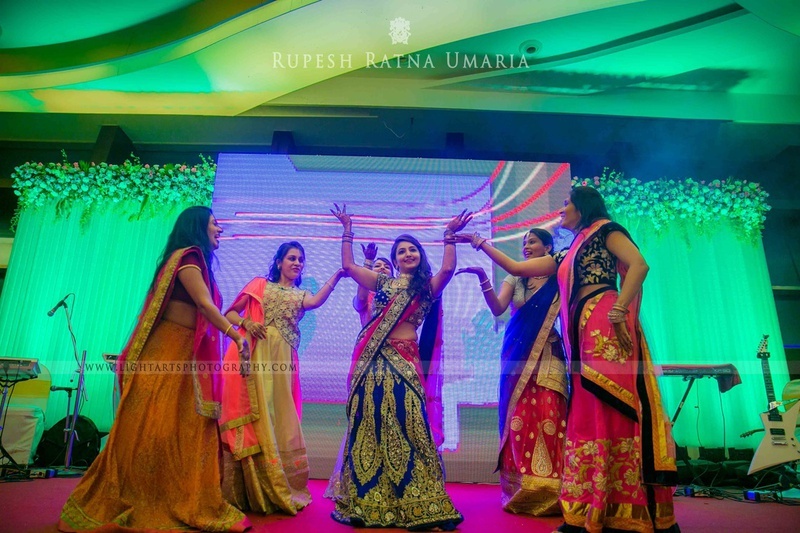 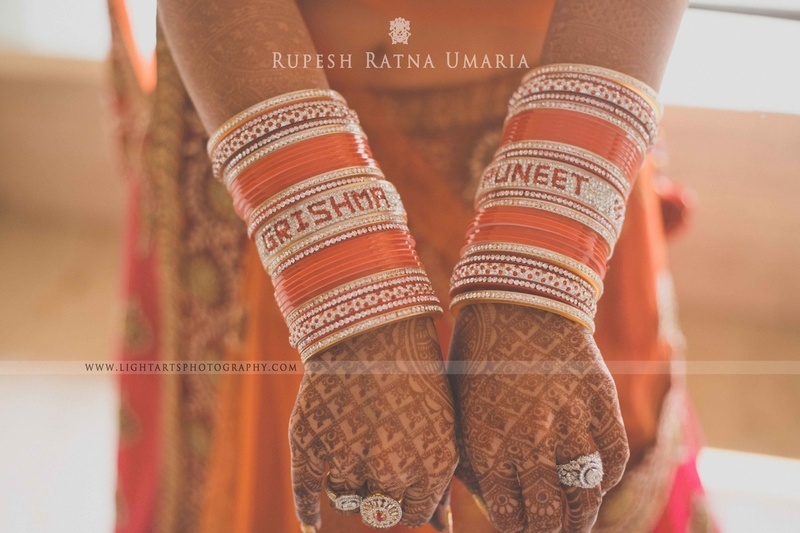 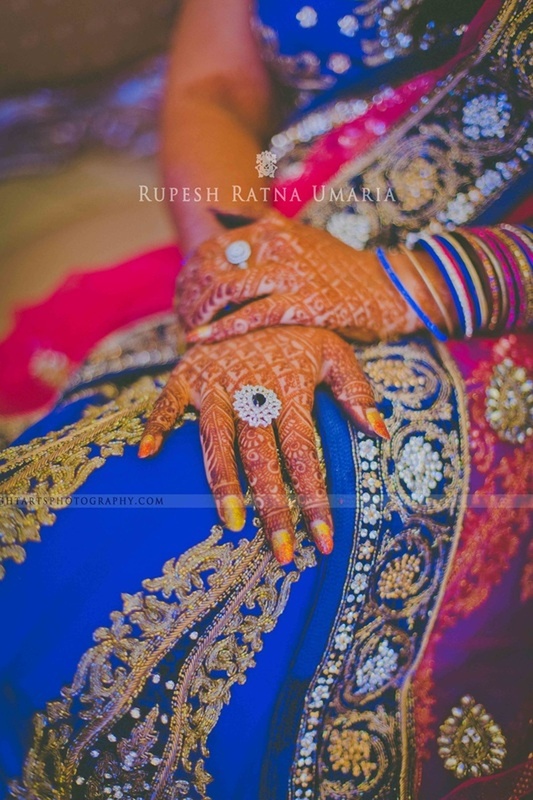 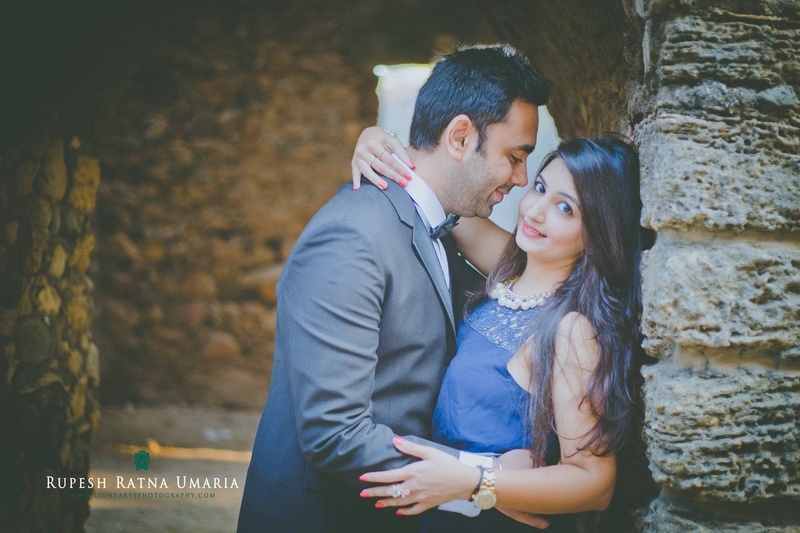 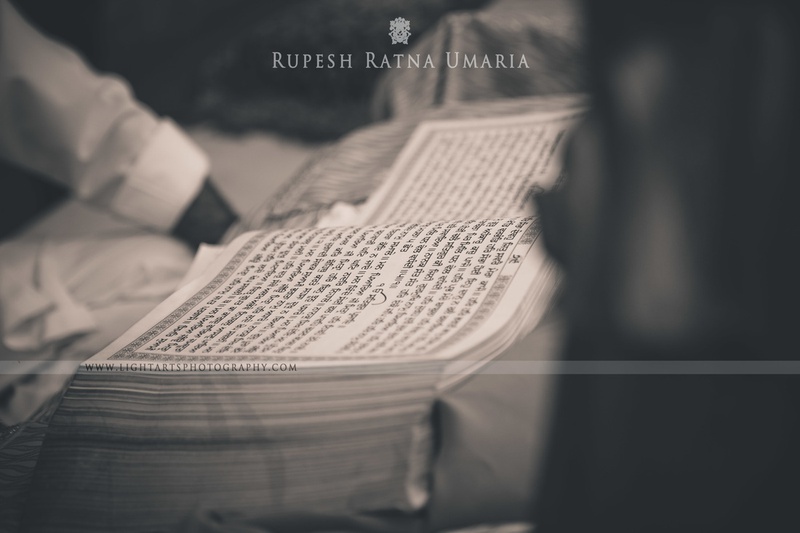 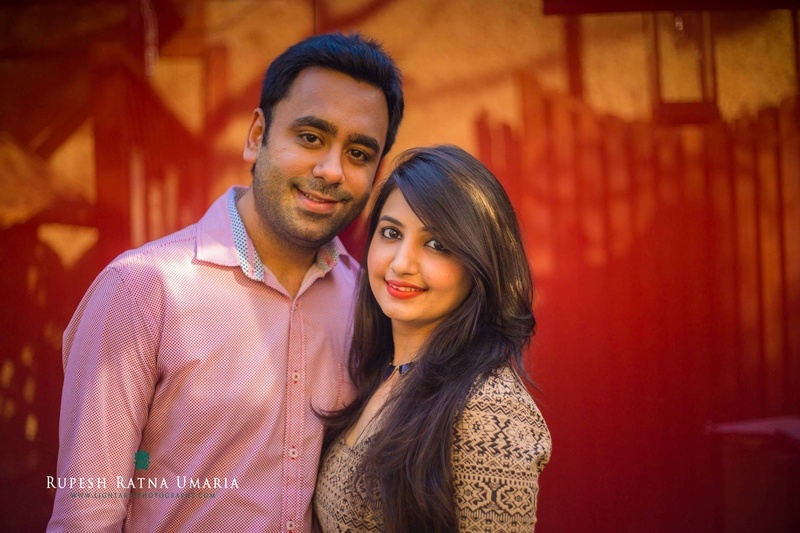 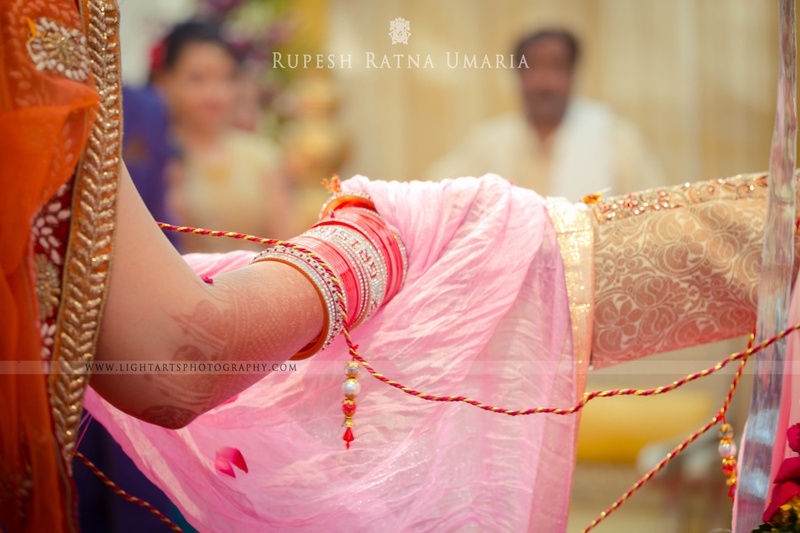 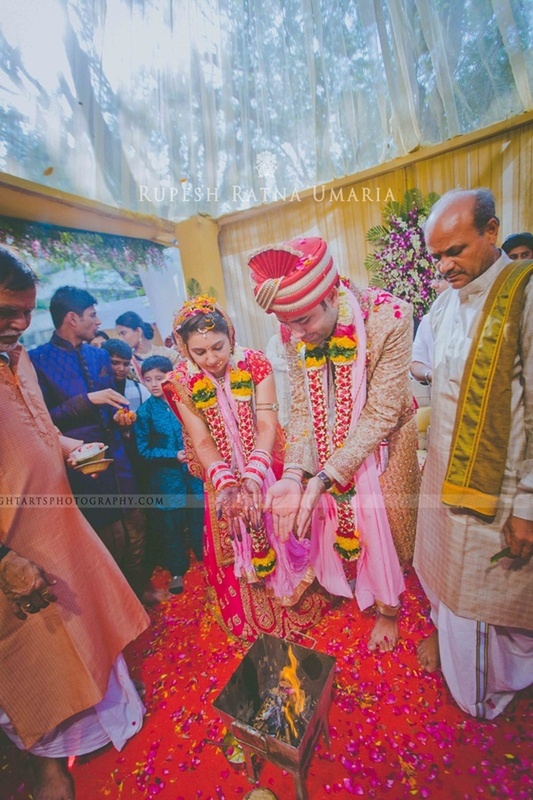 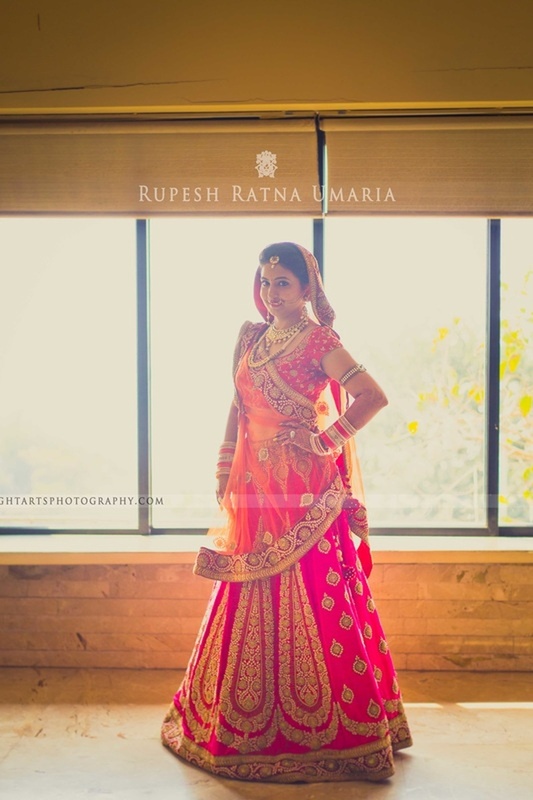 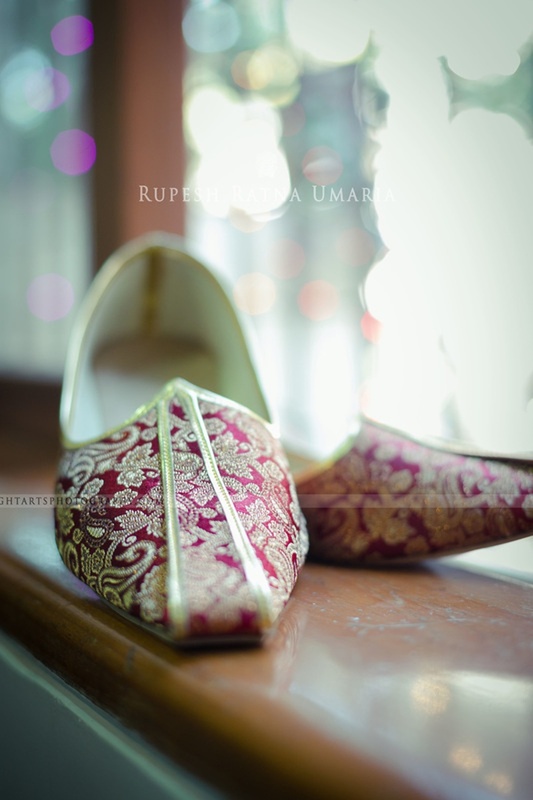 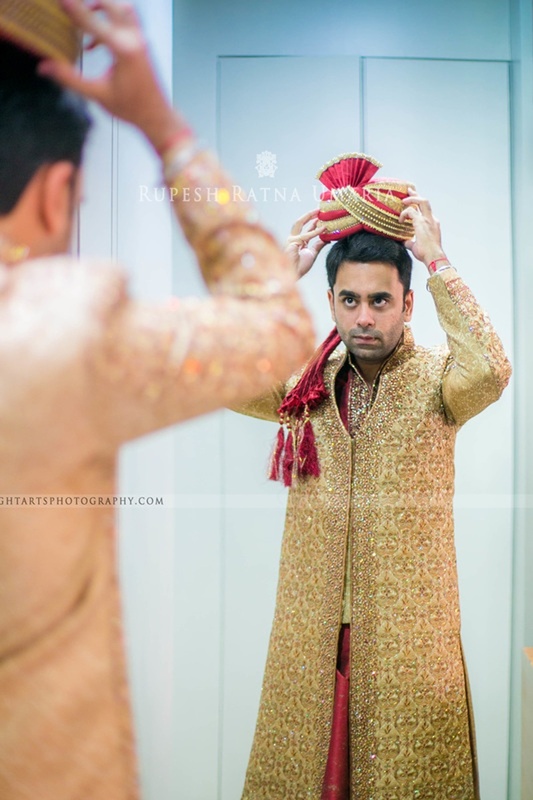 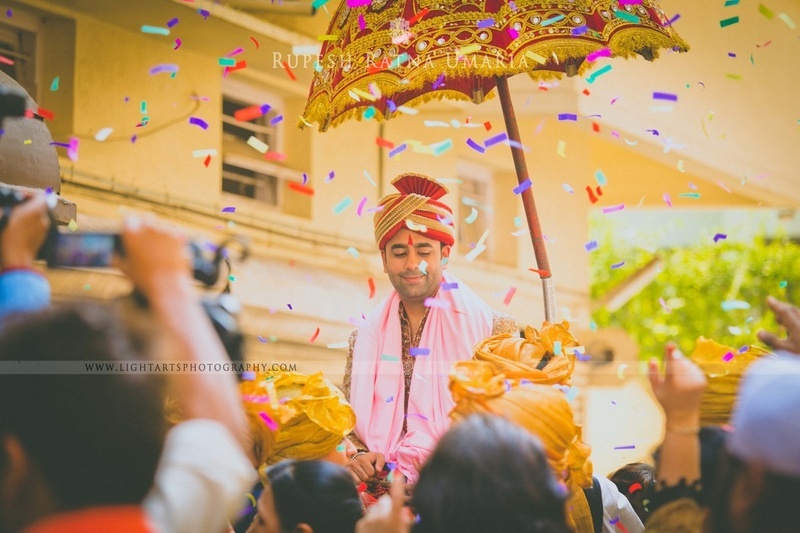 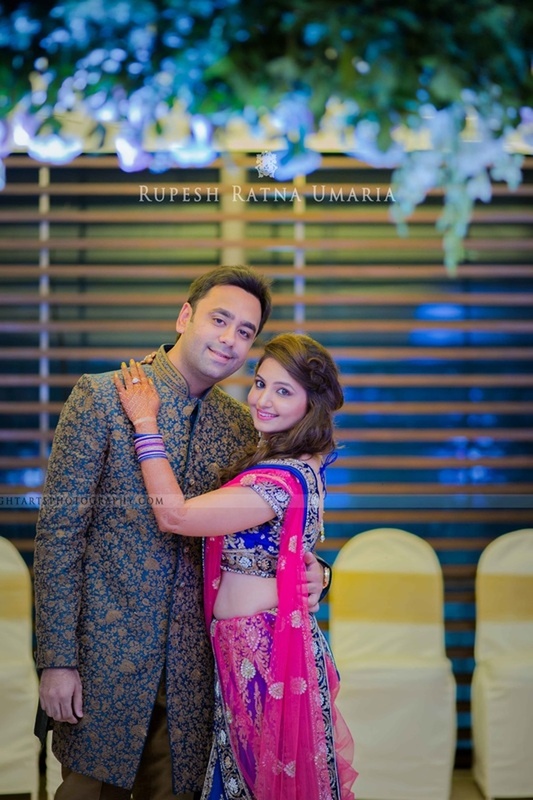 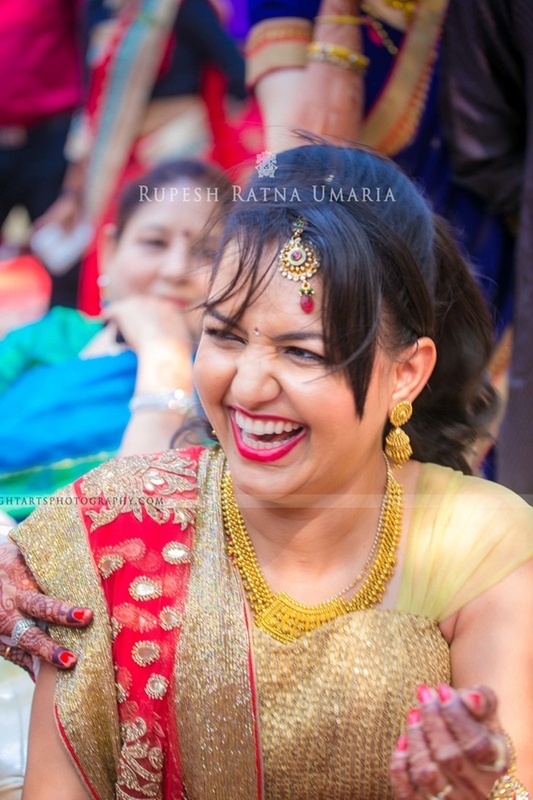 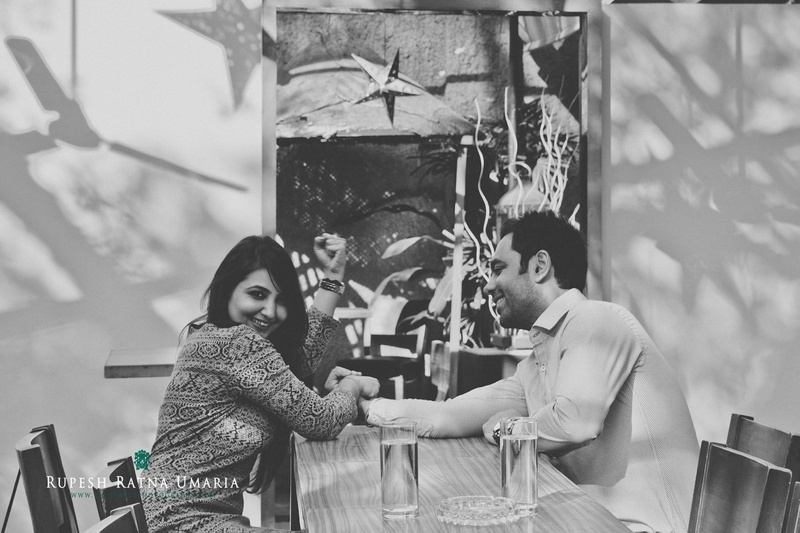 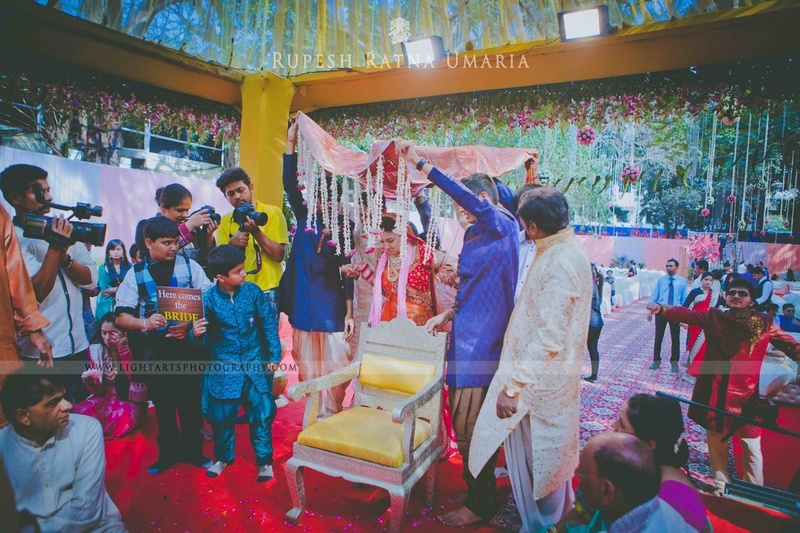 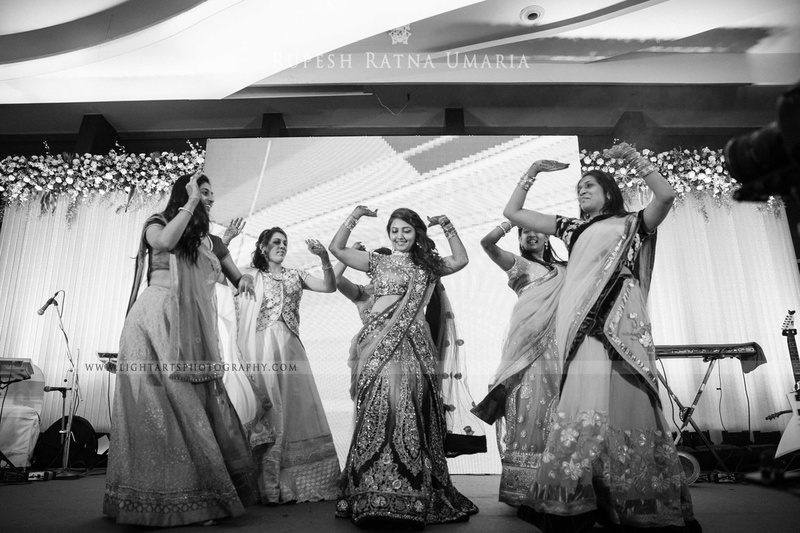 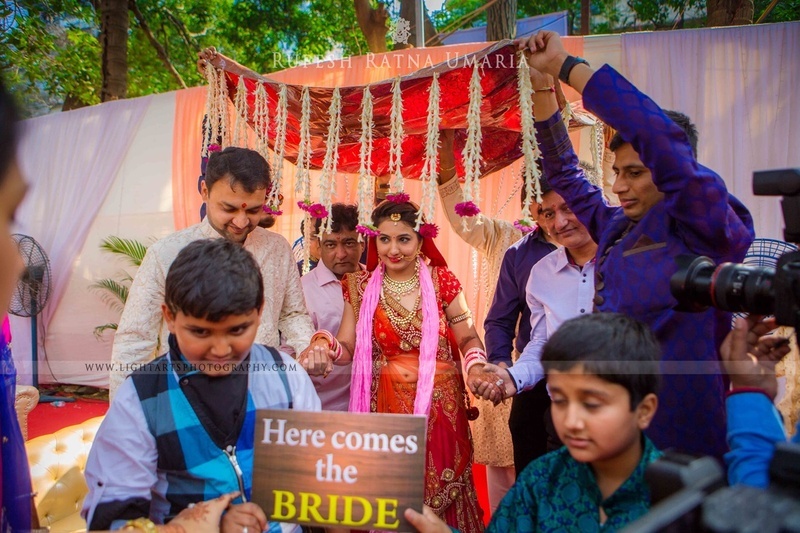 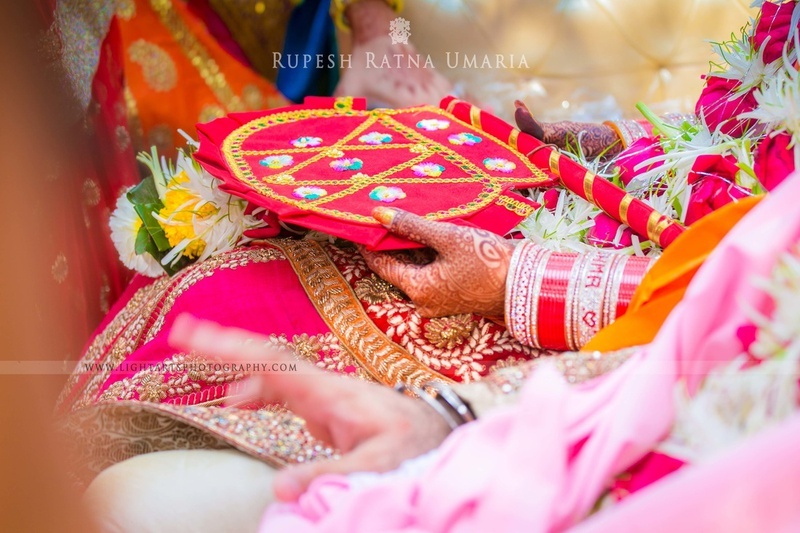 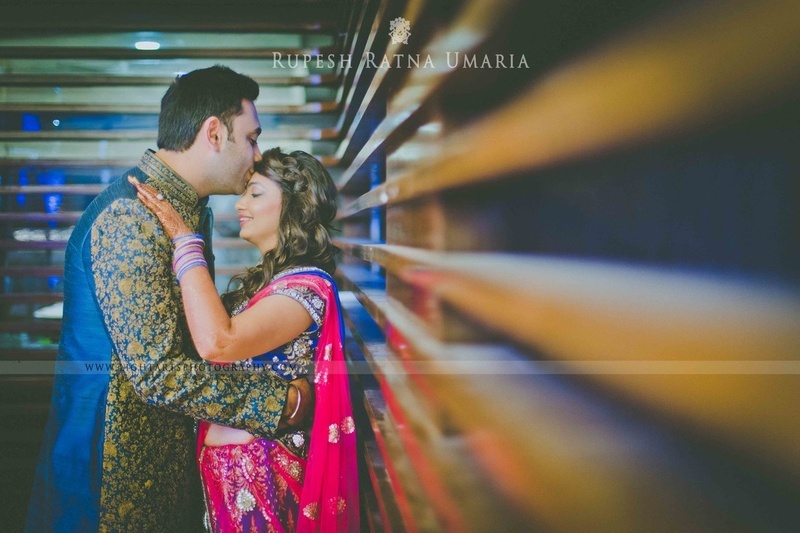 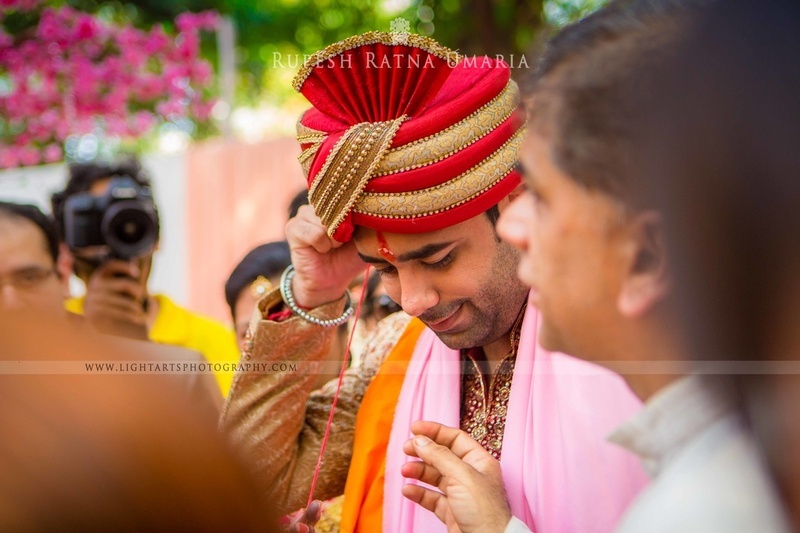 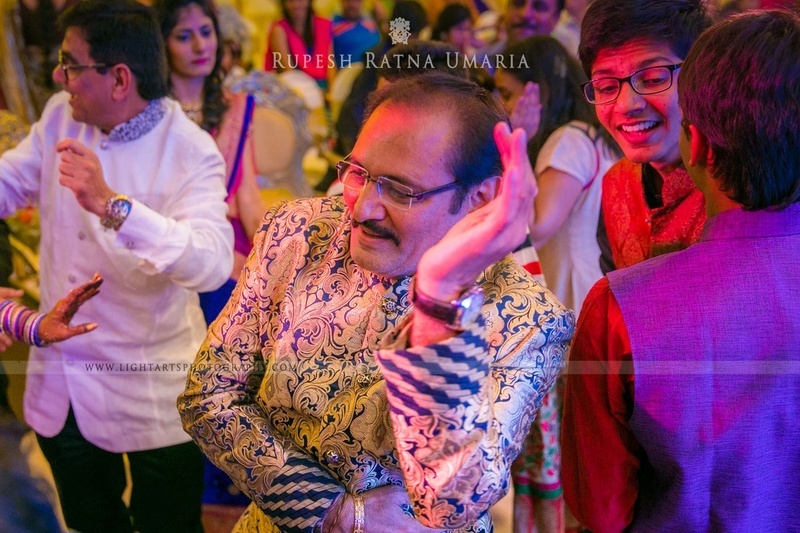 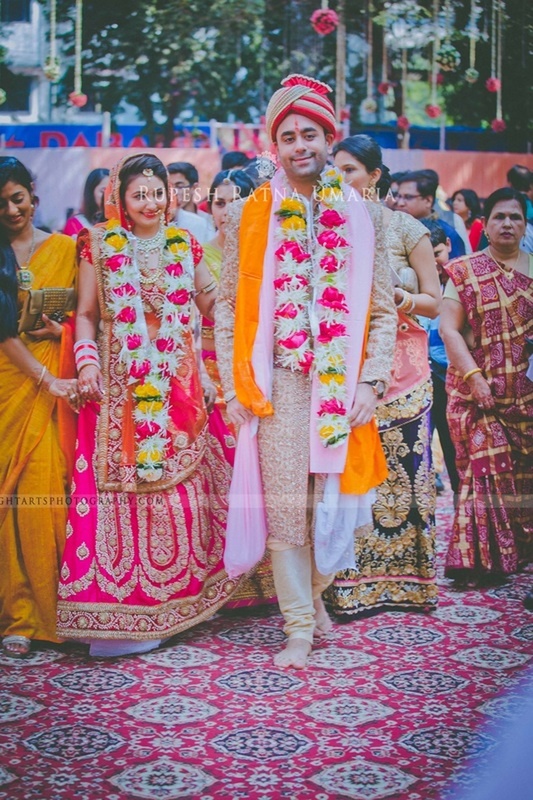 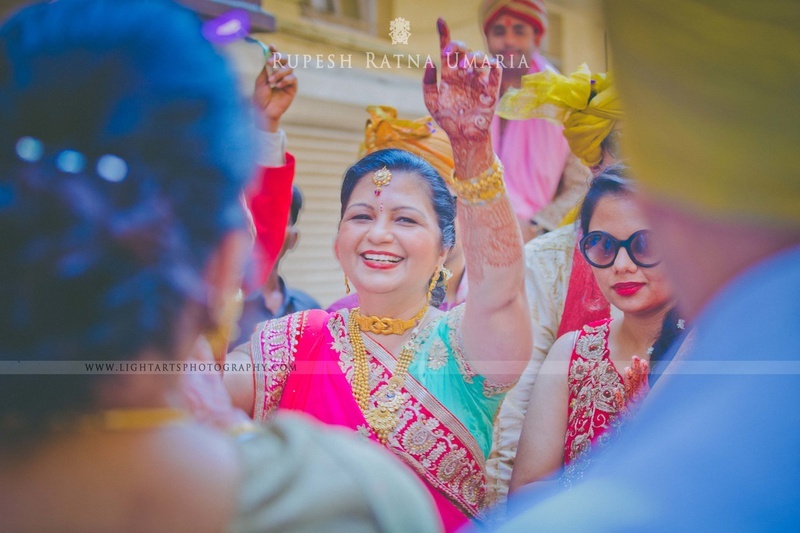 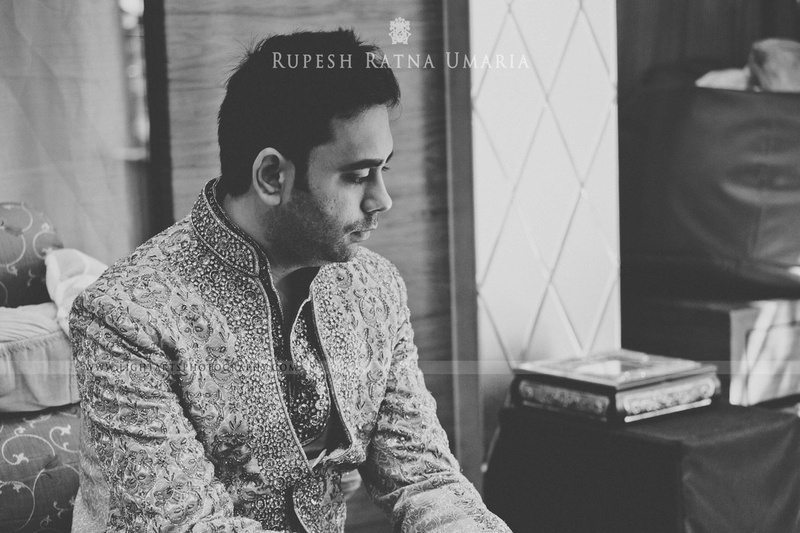 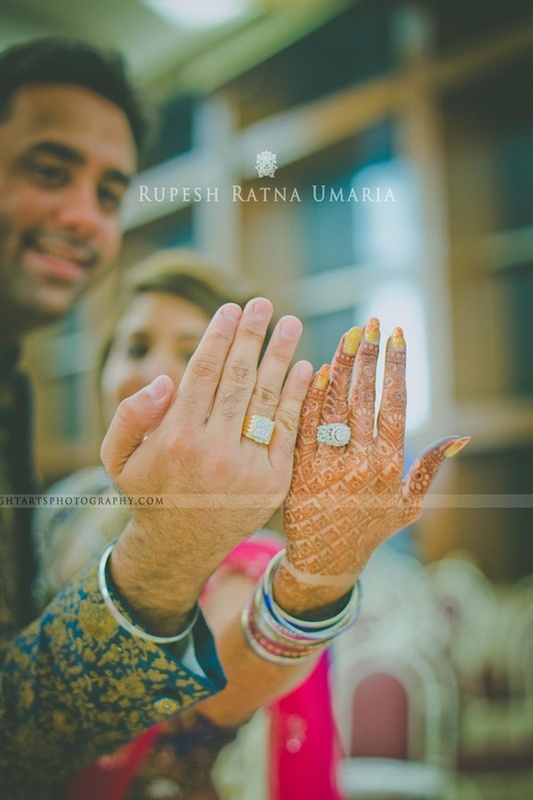 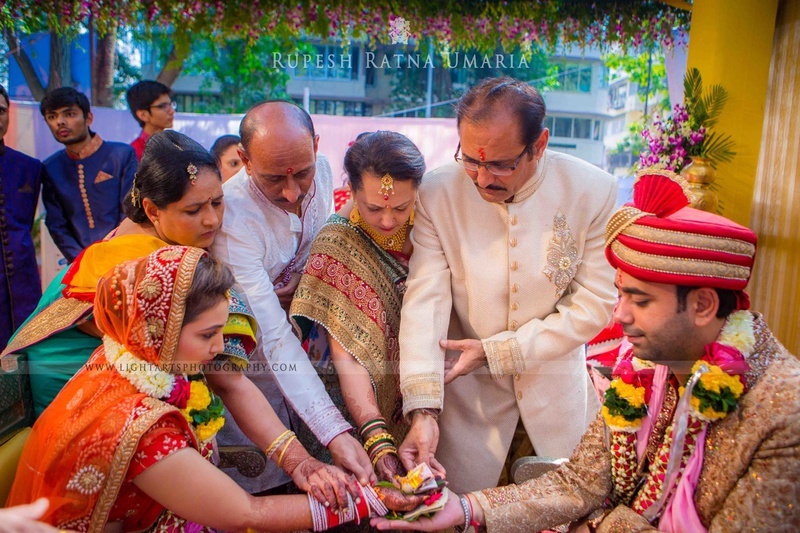 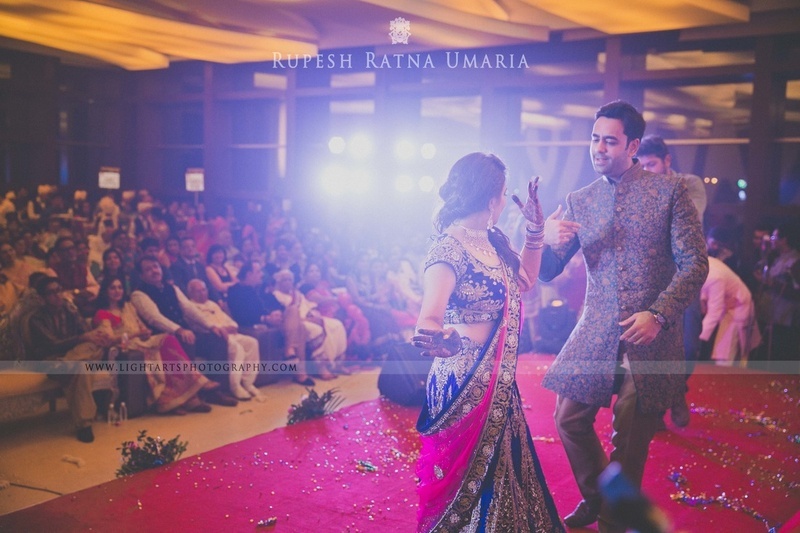 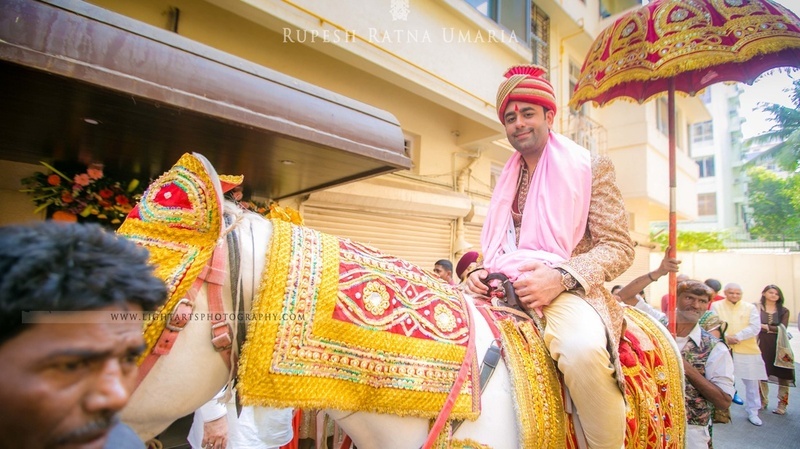 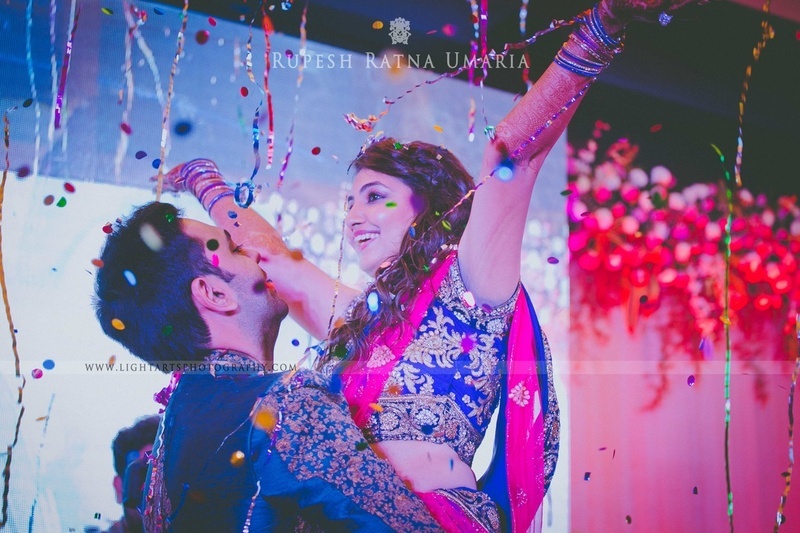 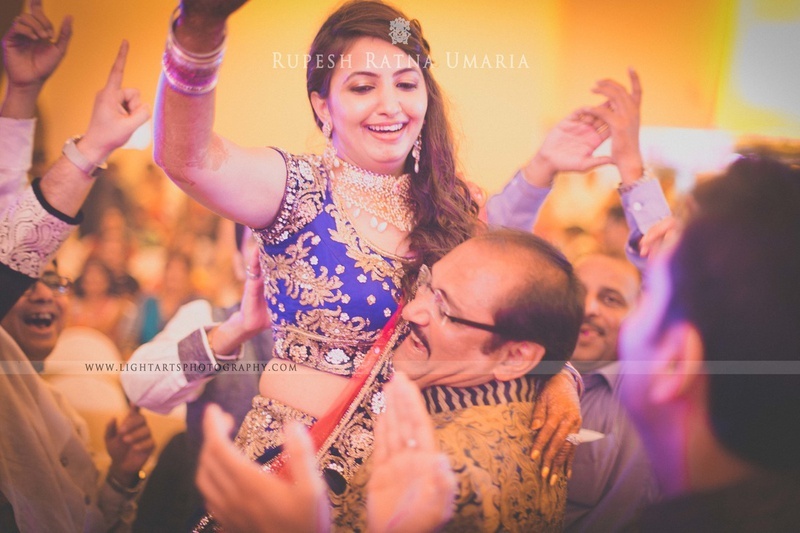 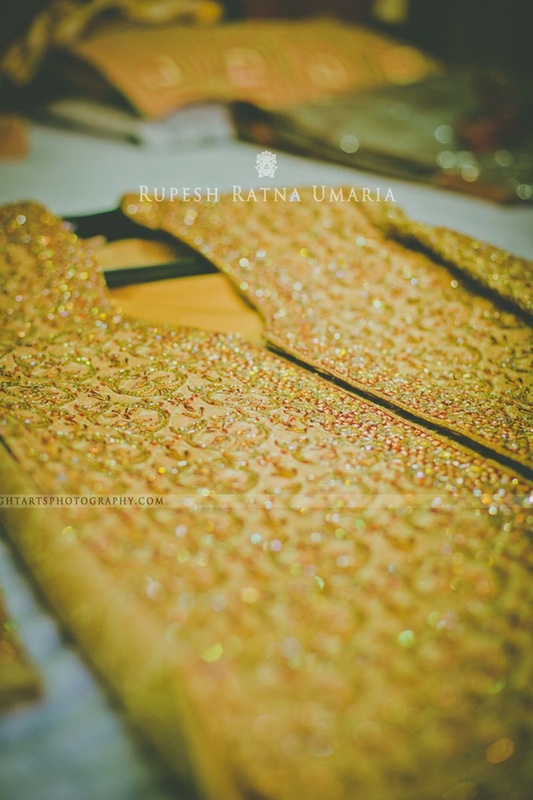 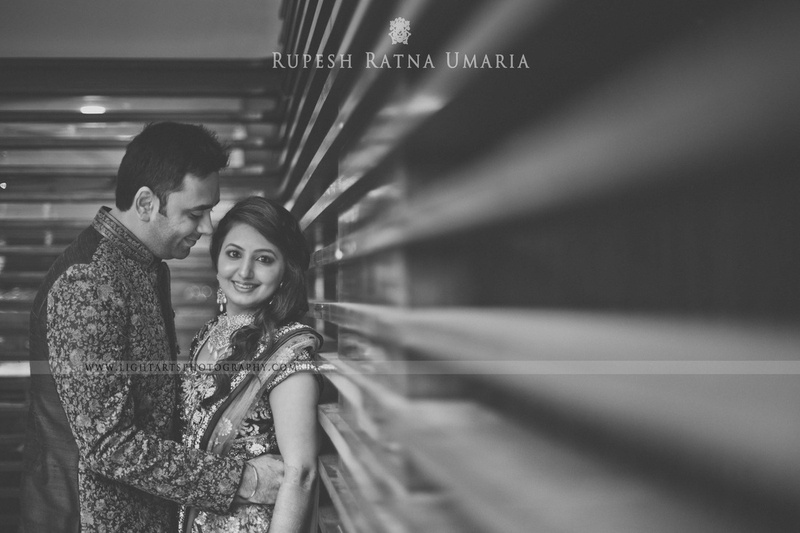 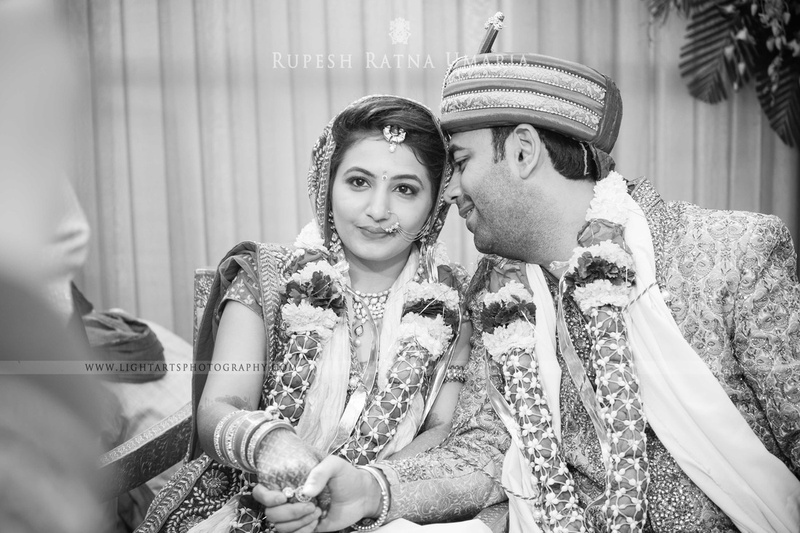 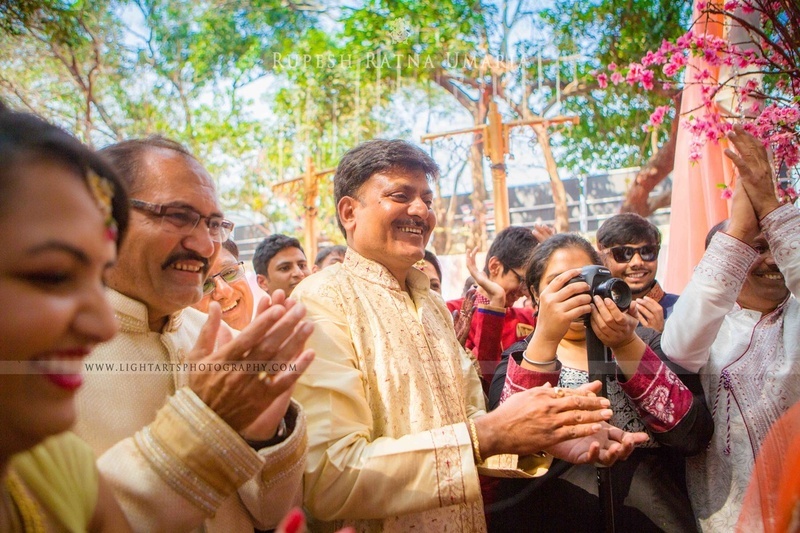 Ruspesh Ratna Umaria captured every moment from this wonderful wedding ceremony just perfectly. 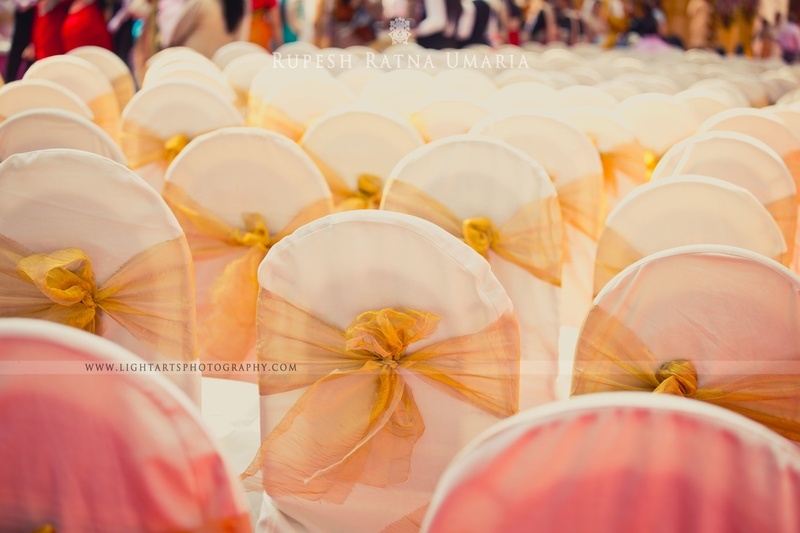 Let’s have a look at a few images right here!